The aggregate market value of the registrant’s common stock held by non-affiliates of the registrant as of June 30, 2016, was $7,718,053,995. All executive officers and directors of the registrant have been deemed, solely for the purpose of the foregoing calculation, to be “affiliates” of the registrant. As of January 31, 2017, the registrant had outstanding 104,978,938 shares of common stock. Portions of the Proxy Statement prepared for the 2017 Annual Meeting of Shareholders are incorporated by reference into Part III of this report. This report includes “forward-looking” statements, as that term is defined by the Securities and Exchange Commission (“SEC”) in its rules, regulations and releases. Forward-looking statements are any statements other than statements of historical fact including statements regarding our expectations, beliefs, hopes, intentions or strategies regarding the future. In some cases forward-looking statements can be identified by the use of words such as “may,” “expects,” “should,” “believes,” “plans,” “anticipates,” “estimates,” “predicts,” “potential,” “continue” or other words of similar meaning. Forward-looking statements are subject to risks and uncertainties that could cause actual results to differ materially from those discussed in or implied by the forward-looking statements. Factors that might cause such a difference include but are not limited to general economic conditions, our financial and business prospects, our capital requirements, our financing prospects, our relationships with associates and those disclosed as risks under “Risk Factors” in Part I, Item 1A of this report. We caution readers that any such statements are based on currently available operational, financial and competitive information and they should not place undue reliance on these forward-looking statements, which reflect management’s opinion only as of the date on which they were made. Except as required by law, we disclaim any obligation to review or update these forward-looking statements to reflect events or circumstances as they occur. We file annual, quarterly and current reports, proxy statements, reports filed or furnished pursuant to Section 13(a) or 15(d) of the Securities Exchange Act of 1934 and other information with the SEC. Our SEC filings are available free of charge to the public over the Internet at the SEC’s website at http://www.sec.gov. Our SEC filings are also available on our website at http://www.WyndhamWorldwide.com as soon as reasonably practicable after they are filed with or furnished to the SEC. You may also read and copy any filed document at the SEC’s public reference room in Washington, D.C. at 100 F Street, N.E., Washington, D.C. 20549. Please call the SEC at 1-800-SEC-0330 for further information about public reference rooms. We maintain an internet site at http://www.WyndhamWorldwide.com. Our website and the information contained on or connected to that site are not incorporated into this Annual Report. We are one of the world’s largest hospitality companies, offering travelers a wide range of hospitality services and products through our global portfolio of world-renowned brands. The hospitality industry is a major component of the travel industry, which is one of the largest retail industry segments of the global economy. Our portfolio of brands have a significant presence in many major hospitality markets in the United States and throughout the world and are uniquely positioned to provide travelers access to a large assortment of travel accommodations and destinations. Our brands include: Wyndham Hotels and Resorts, Ramada, Days Inn, Super 8, Howard Johnson, Wingate by Wyndham, Microtel Inns & Suites by Wyndham, TRYP by Wyndham, Dolce Hotels and Resorts, RCI, Landal GreenParks, Novasol, Hoseasons, cottages.com, James Villa Holidays, Wyndham Vacation Rentals, Wyndham Vacation Resorts, Shell Vacations Club and WorldMark by Wyndham. Our operations are grouped into three segments: hotel group, destination network and vacation ownership. Wyndham Hotel Group is the world’s largest hotel company based on the number of properties, with 8,035 hotels and over 697,600 hotel rooms worldwide. We franchise in the upscale, upper midscale, midscale, economy and extended stay segments with a concentration in economy brands. We also provide property management services for full-service and select limited-service hotels. This is predominantly a fee-for-service business that produces recurring revenue streams with steady cash flow and low capital investment requirements. Wyndham Destination Network is the world’s largest provider of professionally managed, unique vacation accommodations based on the number of accommodations. We have the world’s largest vacation exchange network with 3.8 million members. Our overall network has over 121,000 vacation accommodations, located in over 110 countries and territories and includes cottages, villas, chalets, vacation ownership condominiums, fractional resorts, second homes, yachts, private residence clubs, traditional hotel rooms and city apartments. This is primarily a fee-for-service business that provides stable revenue streams and produces strong cash flow. Vacation Ownership Interests (“VOIs”) to individual consumers, provide consumer financing in connection with the sale of VOIs and provide property management services at resorts. Our business segments generate a diversified revenue stream and high free cash flow. Approximately 63% of our revenues are generated from our fee-for-service businesses. We derive our revenues from (i) franchise fees received from hotels for use of our brand names and providing marketing and reservation activities, (ii) providing property management services to hotels and vacation ownership resorts, (iii) providing vacation exchange and rentals services and (iv) providing services under our Wyndham Asset Affiliation Models (“WAAM”) in our timeshare business. The remainder of our revenue comes primarily from the sale of VOIs and related financing. Further develop our world class capabilities by strengthening our brands, attracting and developing the best talent and investing in technology. We provide value-added services and products and also support and promote green and diversity initiatives to enhance the travel experience of the individual consumer and to drive revenues to our business customers. All of our businesses have both domestic and international operations. During 2016, we derived 76% of our revenues in the U.S. and 24% internationally (approximately 13% in Europe and 11% in all other international regions). For a discussion of our segment revenues, profits, assets and geographical operations, see Note 21 to the Consolidated Financial Statements included in this Annual Report. Our corporate history can be traced back to the formation of Hospitality Franchise Systems (“HFS”) in 1990. HFS initially began as a hotel franchisor that later expanded to include the addition of the vacation exchange business. In December 1997, HFS merged with CUC International, Inc. to form Cendant Corporation, which then further expanded with the addition of the vacation rentals and vacation ownership businesses. On July 31, 2006, Cendant distributed all of the shares of its subsidiary, Wyndham Worldwide Corporation (“Wyndham” or the “Company”), to the holders of Cendant common stock issued and outstanding as of July 21, 2006 (the record date for the distribution). The separation was effective on July 31, 2006. On August 1, 2006, we commenced “regular way” trading on the New York Stock Exchange under the symbol “WYN”. We have many widely recognized and well-established brands. Our Howard Johnson and Ramada brands opened their first hotels in 1954. RCI, our vacation exchange business, was established in 1974. Hoseasons, Landal GreenParks and Novasol, some of Europe’s most renowned vacation rental brands, were established in 1944, 1954 and 1968, respectively. Our vacation ownership brands began operations in 1978 with Shell Vacations Club, followed by Wyndham Vacation Resorts (formerly known as Fairfield Resorts) in 1980 and WorldMark by Wyndham (formerly known as Trendwest Resorts) in 1989. The following is a description of each of our three business segments, Wyndham Hotel Group, Wyndham Destination Network and Wyndham Vacation Ownership, and the industries in which they compete. The global hotel market consists of approximately 172,000 hotels with combined annual revenues of approximately $468 billion. This represents over 16.2 million rooms, of which approximately 54% are affiliated with a brand. The market is geographically concentrated with the top 20 countries accounting for over 81% of total rooms. Franchise - Under the franchise model, a company typically grants the use of a brand name to a hotel owner in exchange for royalty fees that are typically a percentage of room sales. Since the royalty fees are a recurring revenue stream and the cost structure is relatively low, the franchise model yields high margins and steady, predictable cash flows. As of December 31, 2016, we had 7,923 franchised properties in our hotel portfolio. Management - Under the management model, a company provides professional oversight and comprehensive operations support to hotel owners in exchange for base management fees that are typically a percentage of hotel revenue. A company can also earn incentive management fees which are tied to the financial performance of the hotel. As of December 31, 2016, we had 110 managed properties in our hotel portfolio. Ownership - Under the ownership model, a company owns hotels and bears all financial risks and rewards relating to the hotel, including appreciation and depreciation in the value of the property. As of December 31, 2016, we had two owned hotels in our portfolio. Average daily rate, or ADR - ADR is defined as total revenue divided by the number of room nights sold. It represents the average price of a room at a hotel or group of hotels. Average occupancy - Occupancy is the number of room nights sold divided by the total number of rooms. Average occupancy allows us to gauge demand. Revenue per available room, or RevPAR - RevPAR is calculated by multiplying ADR by the average occupancy rate; it is the average price of a room multiplied by the percentage of rooms occupied. RevPAR is the primary metric used by our management to track the performance of our hotels, and it allows us to compare performance across regions, segments, and brands. System growth - System growth is derived from the number of gross rooms opened less rooms terminated during the year. System growth provides a measure for the number of rooms added to our portfolio. (*) RevPAR may not recalculate by multiplying occupancy by ADR due to rounding. Sources: STR (2011-2016), PricewaterhouseCoopers (“PwC”) (2016). 2017 estimated data is as of January 2017. The U.S. lodging industry experienced positive RevPAR performance over the prior year primarily resulting from higher ADR and an increase in U.S. occupancy of 0.2% to 65.5% in 2016. The ADR growth was driven by strong momentum in both transient and group demand. During 2016, ADR grew 3.1% to $123.97. As a result of the ADR gain, the U.S. lodging industry experienced RevPAR growth of 3.2% in 2016. According to PwC’s most recent outlook on the Hospitality and Leisure Industry, the prospects of lower taxes, reduced regulations, and updated trade policies are expected to support growth in transient demand. However, other demand-side concerns continue to linger, including the strength of the U.S. dollar and its impact on inbound international travel. As a result, demand growth is expected to moderate in 2017. Supply growth is expected to continue in 2017 and is projected to outpace demand growth, resulting in a marginal decline in occupancy levels to 65.3%. Aided by an expected increase in transient demand, ADR growth is expected to drive a 2017 RevPAR increase of 2.3%. Certain industry experts project RevPAR in the U.S. to grow at a 2.5% compounded annual growth rate from 2018 to 2020. Luxury - typically offers first class accommodations and an extensive range of on-property amenities and services, including restaurants, spas, recreational facilities, business centers, concierges, room service and local transportation (shuttle service to airport and/or local attractions). ADR is normally greater than $210 for hotels in this category. Upper Upscale - typically offers a full range of on-property amenities and services, including restaurants, spas, recreational facilities, business centers, concierges, room service and local transportation (shuttle service to airport and/or local attractions). ADR normally falls in the range of $145 to $210 for hotels in this category. Upscale - typically offers a full range of on-property amenities and services, including restaurants, spas, recreational facilities, business centers, concierges, room service and local transportation (shuttle service to airport and/or local attractions). ADR normally falls in the range of $110 to $145 for hotels in this category. Upper Midscale - typically offers restaurants, vending, selected business services, partial recreational facilities (either a pool or fitness equipment) and limited transportation (airport shuttle). ADR normally falls in the range of $90 to $110 for hotels in this category. Midscale - typically offers limited breakfast, selected business services, limited recreational facilities (either a pool or fitness equipment) and limited transportation (airport shuttle). ADR normally falls in the range of $65 to $90 for hotels in this category. Economy - typically offers basic amenities and a limited breakfast. ADR is normally less than $65 for hotels in this category. Wyndham Hotel Group is the world’s largest hotel franchisor based on number of properties, with 7,923 franchised hotels and over 697,600 hotel rooms worldwide, and is a leader in the economy segment. Our franchise business is easily adaptable to changing economic environments due to low operating cost structures. This, in combination with recurring fee streams, yields high margins and predictable cash flows. Ongoing capital requirements are relatively low and mostly limited to technology expenditures which support core capabilities. We may employ key money incentives and other forms of financial support to generate new business and to assist franchisees and hotel owners in converting to one of our brands or building new hotels under a Wyndham Hotel Group brand. 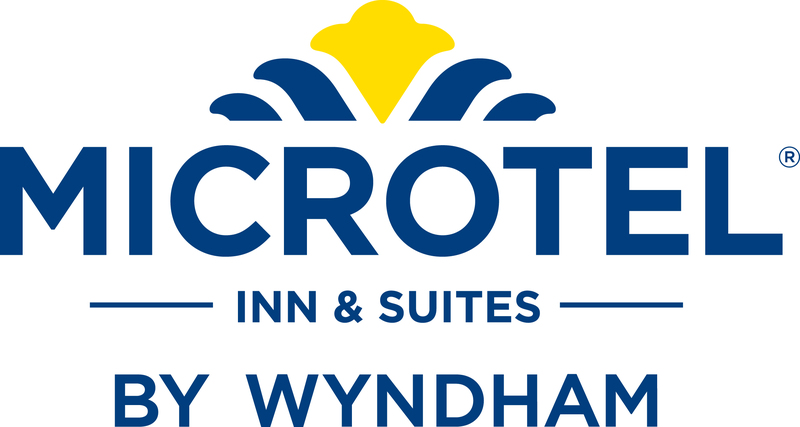 Our owned hotel portfolio currently consists of the Wyndham Grand Rio Mar Beach Resort and Spa in Puerto Rico (“Rio Mar hotel”) and the Wyndham Grand Orlando Bonnet Creek (“Bonnet Creek hotel”). Both hotels represent mixed-use opportunities which allow us to introduce our hotel guests to the vacation ownership product. This reflects the primary chain scale segments served using the STR Global definition and method as of December 2016. STR Global is U.S. centric and categorizes a hotel chain, or brand, based on ADR in the U.S. We utilized these chain scale segments to classify our brands both in the U.S. and internationally. Comprised of U.S., Canada and Puerto Rico. RevPAR may not recalculate by multiplying occupancy by ADR due to rounding. Includes properties located in Puerto Rico. China represents 91% of the total region with the majority of our hotels in China being under master franchise agreements. These chain scale segments are utilized to classify our brands in the North America region. For illustrative purposes, we also reflected our international properties and rooms under these categories. During 2016, 65% of our room additions were conversions. Acquisitions accounted for 2,171 and 5,530 room additions during 2016 and 2015, respectively. In our franchising business, we seek to generate revenues for our hotel owners through our strong, well-known brands and the delivery of services such as marketing, information technology, revenue management, training, operations support, strategic sourcing and guest services. The sources of our revenues from franchising hotels include (i) ongoing franchise fees, which are comprised of royalty, marketing and reservation fees, (ii) initial franchise fees which relate to services provided to assist a franchised hotel to open for business under one of our brands and (iii) other service fees. Royalty fees are intended to cover the use of our trademarks. Marketing and reservation fees are intended to reimburse us for expenses associated with operating reservations systems, e-commerce channels including our brand.com websites and access to third-party distribution channels, such as online travel agents (“OTAs”), advertising and marketing programs, global sales efforts, operations support, training and other related services. Other service fees include fees derived from providing ancillary services, and are generally intended to reimburse us for direct expenses associated with providing these services. Our management business offers hotel owners the benefits of a global brand and a full range of management, marketing and reservation services. In addition to the standard franchise services, our hotel management business provides hotel owners with professional oversight and comprehensive operations support, including hiring, training and supervising the hotel managers and employees, annual budget preparation, local sales and marketing efforts, financial analysis, and food and beverage services. Revenues earned from our management business include management and service fees. Management fees are comprised of (i) base fees, which are typically a specified percentage of gross revenues from hotel operations, and (ii) incentive fees, which are typically a specified percentage of a hotel’s gross operating profit. Service fees include fees derived from accounting, design, construction and purchasing services and technical assistance provided to managed hotels. We also recognize as revenue, fees related to reimbursable payroll costs for operational employees who work at some of our managed hotels. Although these costs are funded by hotel owners, accounting guidance requires us to report these fees on a gross basis as both revenues and expenses. As such, there is no effect on our operating income. Our ownership portfolio is limited to two hotels in locations where we have developed timeshare units. Revenues earned from our owned hotels are comprised of (i) gross room nights, (ii) food and beverage services, and (iii) on-site spa, casino, golf and shop revenues. We are responsible for all operations and recognize all revenues and expenses associated with the hotels. We also earn marketing fees from the Wyndham Rewards loyalty program when a member stays at a participating hotel. Revenues are derived from a fee we charge based upon a percentage of room revenues generated from such member stays. These fees reimburse us for expenses associated with member redemptions and the overall administration and marketing of the program. In addition, we earn revenue from our co-branded Wyndham Rewards credit card program which is primarily generated by cardholder spending activity and the enrollment of new cardholders. This program is designed to further incentivize loyalty to our brands. A majority of our economy and midscale hotels are located on highway roadsides for convenience of travelers; therefore, a significant portion of room nights sold are on a walk in or direct to hotel basis. We believe their choice of hotel is attributable to the reputation and general recognition of our brand names. Another significant component of our value proposition to a hotel owner is access to our reservation booking channels, which we also refer to as our distribution platform. 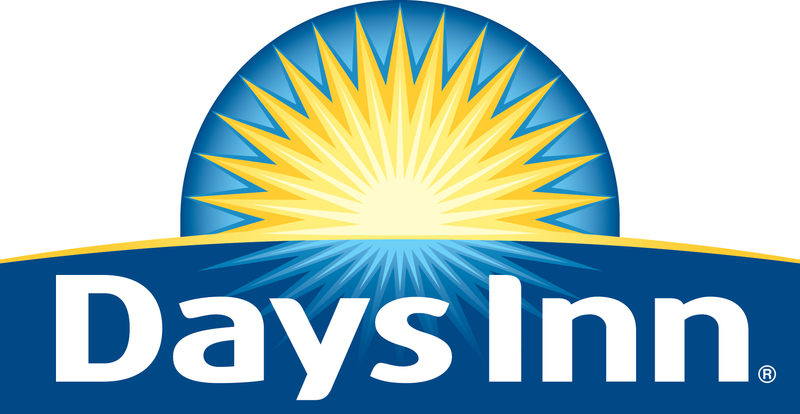 These channels include: our proprietary brand web and mobile sites; our mobile apps; our call center facilities; our Wyndham Rewards loyalty program; our global sales team; global distribution partners such as Sabre and Amadeus; and OTAs and other third-party internet referral or booking sources, such as Kayak, TripAdvisor and Google. Over half of our reservation delivery comes from online sources, including our proprietary and mobile websites. For guests who choose to book their hotel stay in advance through our distribution platform, we booked over $4 billion in room revenue on behalf of hotels within our system (including bookings under our global sales agreements). This represents 48% of total room revenues at these hotels, compared to 45% during 2015. A key strategy for reservation delivery is the continual investment in our e-commerce capabilities (websites, mobile and other online channels), as well as the deployment of advertising spend to drive online traffic to our proprietary e-commerce channels. This strategy also encompasses marketing agreements we have with travel related search websites and affiliate networks, and other initiatives to drive business directly to our online channels. In addition, to ensure our franchisees receive bookings from OTAs and other third-party internet sources, we provide direct connections between our central reservations systems and strategic third-party internet booking sources. These direct connections allow us to deliver more accurate and consistent rates and inventory rooms, send bookings directly to our central reservation systems without interference or delay and reduce our franchisee distribution costs. As part of our strategy to bring industry leading technology to our hotel owners, in late 2015 we began migrating our multiple reservations systems to Sabre Corporation’s SynXis Central Reservations solution. This web-based solution provides our hotel owners with distribution of rates and inventory through all online and offline distribution channels; connectivity to global distribution systems, online travel agents, website and mobile booking engines; and seamless integration of property, revenue management, loyalty and content systems, providing holistic views of hotel guests and revenue. As of December 31, 2016, four of our fifteen hotel brands have migrated to SynXis Central Reservations. The remainder of our portfolio is expected to migrate by the end of 2017. Our worldwide teams of industry veterans continually collaborate with franchisees on all aspects of their operations, and create detailed and individualized strategies for success. We are able to make meaningful contributions to hotel operations, which result in higher revenues for our hotel owners by providing key services including system integration, operations support, training, strategic sourcing, and development planning and construction. Building a robust loyalty program is critical to delivering our value proposition to our hotel owners. In May 2015, we launched a newly redesigned Wyndham Rewards program offering members a more generous points earning structure along with a flat, free night redemption rate, the first of its kind for a major rewards program. 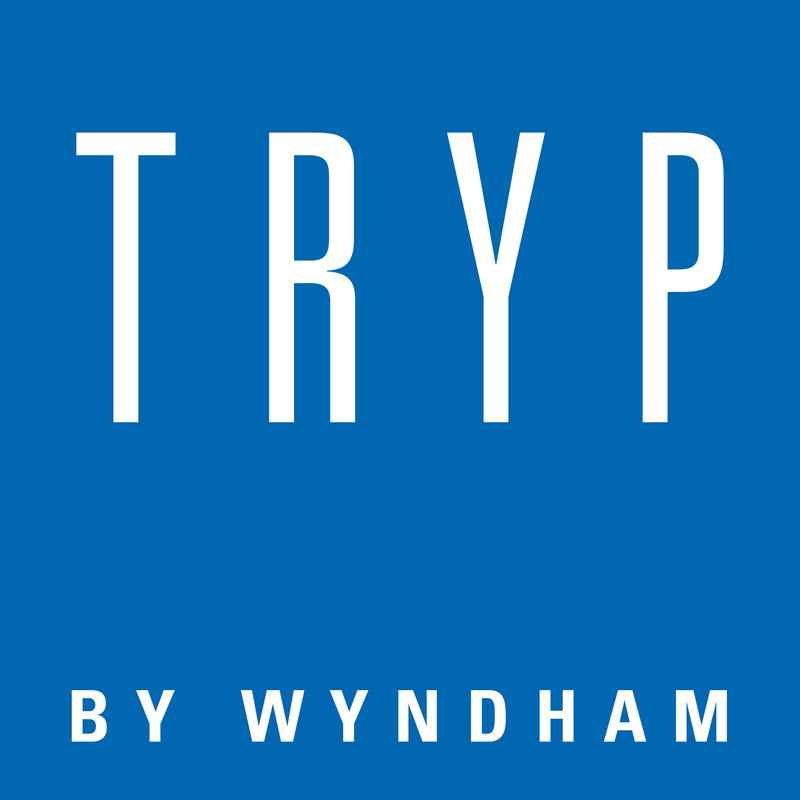 The Wyndham Rewards program was introduced in 2003 and has grown steadily since its inception. The diversity of our brands and significant footprint uniquely enables us to meet our members’ leisure and business travel needs across a variety of locations, and a wide range of price points. Wyndham Rewards members stay at our brands more frequently and drive incremental room nights, higher ADR and a longer length of stay than non-members. Wyndham Rewards is the largest lodging loyalty program as measured by number of participating hotels in the lodging industry. Members earn points by staying in one of our participating branded hotels or by purchasing everyday services and products using a co-branded Wyndham Rewards credit card. Points may be redeemed for a variety of reward options, including airline travel, resort vacations, event tickets, gift certificates for leading retailers and restaurants, and more. Members can also redeem points (“go free”) or a combination of points plus cash (“go fast”) for hotel free night stays. During 2016, WHG introduced four distinct member levels to the Wyndham Rewards program (Blue, Gold, Platinum and Diamond) that provide members with additional benefits that increase by level. During 2016, 85% of all points redeemed were for go free and go fast awards, demonstrating the impact of the program in driving additional stays to our hotel owners. As part of our “Blue Thread” initiative, WHG expanded its global Rewards program during 2016 by allowing points to be redeemed at Wyndham Vacation Ownership resorts and at thousands of Wyndham Destination Network properties. Our brand and field marketing teams develop and implement global marketing strategies for each of our hotel brands. While brand positioning and strategy is generated from our U.S. headquarters, we have seasoned marketing professionals positioned around the globe to modify and implement these strategies on a local market level. Our marketing efforts communicate the unique value proposition of each of our individual brands, and are designed to build consumer awareness and drive business to our hotels, either directly or through our own reservation channels. We deploy a variety of marketing strategies and tactics depending on the needs of the specific brand and local market, including online advertising, social media marketing, traditional media planning and buying (radio, television and print), creative development, promotions, sponsorships and highly targeted direct marketing. Our Best Available Rate guarantee gives consumers confidence to book directly with us by guaranteeing the same rates regardless of whether they book through our call centers, websites or other third-party channels. In May 2015, we implemented enhancements to our umbrella marketing strategy which allows us to better optimize the efficiency of our advertising dollars by strategically grouping brands together for select initiatives with the goal of driving more customers to our propriety websites and our loyalty program. These efforts drive tens of millions of consumer impressions. Our global sales organization leverages the size and diversification of our portfolio to gain a larger share of business for each of our hotels through relationship-based selling to a broad range of hotel guests including corporate business travel clients, corporate group clients, association markets, consortium and travel agent clients, wholesale leisure clients, social group clients, and specialty markets such as trucking companies and travel clubs. With over 8,000 hotels throughout the world, we are able to find more complete solutions for a client/company whose travel needs range from economy to upscale brands. Our acquisition of Dolce Hotels and Resorts (“Dolce”) in 2015 provides Wyndham with a portfolio of hotels that primarily cater to meeting and conference functions. In order to leverage multidimensional customer needs for our hotels, the sales team is deployed globally in key markets within Europe, Latin America, India, Canada, China, Singapore, Australia, the Middle East and the U.S.
We also offer several levels of revenue management subscription services, with professionals deployed in key markets globally, to help maximize the revenues of our franchisees by advising them on strategies intended to optimize rate and inventory management. These services also coordinate all recommended revenue programs delivered to our franchisees in tandem with e-commerce and brand marketing strategies. We also provide hotel owners with property management system software that synchronizes each hotel’s inventory with our central reservations platform. In 2015 we began migrating our more than 4,500 North American economy properties to Sabre’s software-as-a-service property management system. We are concurrently partnering with Infor to roll out an integrated, software-as-a service automated hospitality revenue management system. This new system simplifies the revenue management process by automatically analyzing each hotel’s booking data on a daily basis, recognizing trends and patterns, and providing our hotel owners with rate and inventory management recommendations to help optimize the hotel’s demand. The Sabre and Infor solutions create a platform that enables our hotel owners to more effectively manage their pricing and inventory, connect to a wider range of global distribution partners, utilize a broad array of currency and language capabilities and have access to a fully integrated customer profile and history tied into our Wyndham Rewards program. As of December 31, 2016, more than 3,300 of our North America properties have migrated to these cloud-based property management and revenue management systems. This roll out is expected to be completed in 2017. Our development team consists of over 100 professionals in locations throughout the world, including Europe, Latin America, India, Canada, China, Singapore, Australia, the Middle East and the U.S. Our development team is focused on growing our franchise business and their efforts typically target existing franchisees as well as hotel developers, owners of independent hotels and owners of hotels leaving competitor brands. In addition, our development team is focused on growing our management business. Our hotel management business gives us access to development opportunities beyond pure play franchising transactions. When a hotel owner is seeking both a brand and a manager, we are able to couple these services into one offering. Over the past 3 years, we have focused on portfolio deals and grew our managed portfolio from 58 hotels as of December 31, 2013 to 110 hotels as of December 31, 2016.
flagging the hotel often occurs within the same quarter. In North America, we generally employ a direct franchise model whereby we contract with and provide various services directly to hotel owners. Under our direct franchise model, we principally market our hotel group brands to hotel developers, owners of independent hotels, and hotel owners who have the right to terminate their existing franchise affiliations with other hotel brands. We also market franchises to existing franchisees since many own, or may own in the future, other hotels that can be converted to one of our brands. Our standard franchise agreement grants a franchisee the right to non-exclusive use of the applicable franchise system in the operation of a single hotel at a specified location, typically for a period of 15 to 20 years. It also gives the franchisor and franchisee certain rights to terminate the franchise agreement before its end date under certain circumstances, such as upon the lapse of a certain number of years after commencement of the agreement. Early termination options in these agreements give us the flexibility to terminate franchised hotels if business circumstances warrant. We also have the right to terminate a franchise agreement for failure by a franchisee to bring its property into compliance with contractual or quality standards within specified periods of time, pay required franchise fees or comply with other requirements of the agreement. While we generally employ a direct franchise model in North America, we currently own two hotels, the Bonnet Creek hotel, which is situated in our Bonnet Creek vacation ownership resort near the Walt Disney World resort in Florida, and the Rio Mar hotel oceanfront property that includes premier restaurants, a spa, casino, golf course, and comprehensive business center, which is located in Rio Grande, Puerto Rico. Both of these hotels are mixed use properties consisting of both hotel and timeshare components. We also own additional land at the Rio Mar location available for future vacation ownership development. These mixed use properties enable us to leverage the synergies of our owned hotels and vacation ownership elements and provide us with opportunities to generate cross product interest by exposing our hotel guests to the vacation ownership product. Additionally, under our mixed-use business model, we are able to provide our hotel guests and VOI owners with higher quality amenities. In other parts of the world, we employ both a direct franchise and master franchise model. We generally employ a master franchise model in regions where we can accelerate our growth and expansion through a strong in-market business partner. 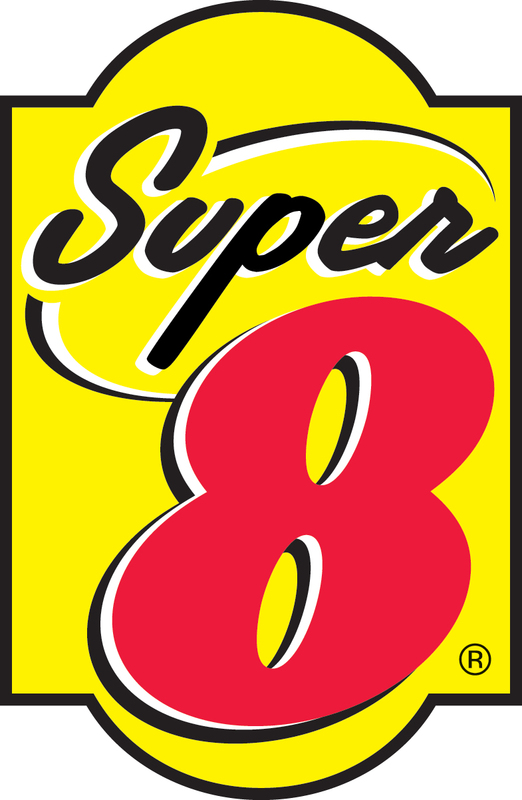 For example, while we employ a direct franchising model in China for our Wyndham and Ramada brands, we use a master franchise model for our Super 8, Days Inn and Howard Johnson brands. 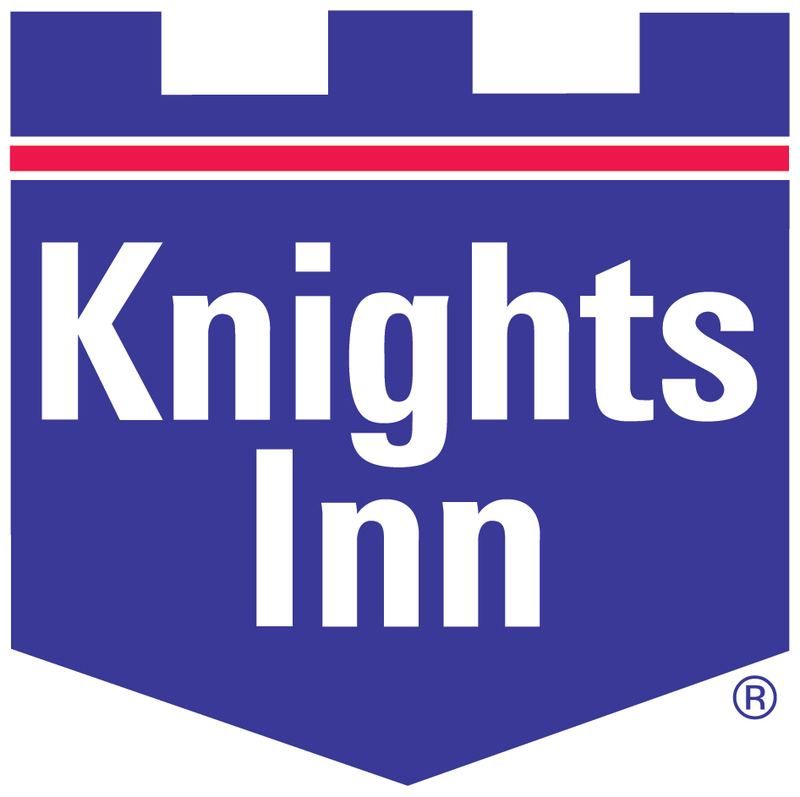 Similarly, within Canada, we generally employ a direct franchising model for our brands with the exception of our Days Inn and Travelodge brands, for which we use a master franchise model. Franchise agreements in regions outside of North America may carry a lower fee structure based on the services we are prepared to provide in that particular region. Under our master franchise model we typically market our hotel group brands to third parties that assume the principal role of franchisor, which involves selling individual franchise agreements and providing quality assurance, marketing assistance, and reservations support to franchisees. Since we provide only limited services to master franchisors, the fees we receive in connection with these agreements are typically lower than the fees we receive under a direct franchising model. Master franchise agreements, which are individually negotiated and vary among our brands, typically contain provisions that permit us to terminate the agreement if the other party fails to meet specified development schedules. Franchise and management fees are generally higher in the second and third quarters than in the first or fourth quarters of any calendar year. This is due to increased leisure travel and the related ability to charge higher ADRs during these months. offered. We further believe that the perceived value of a brand name is partially a function of the success of the existing hotels franchised under the brand. The ability of an individual franchisee to compete may be affected by the location and quality of its property, the number of competitors in the vicinity, community reputation and other factors. A franchisee’s success may also be affected by general, regional and local economic conditions. The potential negative effect of these conditions on our performance is substantially reduced by virtue of the diverse locations of our franchised hotels and by the scale of our franchisee base. Our franchise system is dispersed among approximately 5,536 franchisees, which reduces our exposure from any one franchisee. No one franchisee accounts for more than 13% of our franchised hotels. A large segment of leisure travel is delivered through non-hotel accommodations that include vacation ownership exchange and vacation rentals. These non-hotel accommodations provide leisure travelers access to a wide variety of leisure options that include privately-owned vacation homes, villas, cottages, apartments, condominiums, holiday parks and vacation ownership resorts. Vacation exchange is a fee-for-service industry that offers services and products to timeshare developers and owners. To participate in a vacation exchange, a timeshare owner provides his or her interval to an exchange company’s network and receives the opportunity to use another owner’s interval at a different destination. The exchange company assigns a value to the owner’s interval based upon a number of factors, including destination and size of the timeshare unit, dates of the interval, and the amenities at the resort. Exchange companies generally derive revenues by charging fees for facilitating exchanges and through annual membership dues. In 2015, 30% of global timeshare owners (or 6.1 million) were vacation exchange members and they completed approximately 2.8 million exchanges. Timeshare clubs, such as Club Wyndham Plus, WorldMark by Wyndham and Disney Vacation Club, give members the option to exchange both internally, within their collection of resorts, or through external exchange channels such as RCI. These clubs have been the largest driver of timeshare industry growth over the past several years. This long-term trend has a positive impact on the average number of members, but a negative effect on the number of exchange transactions per member and revenue per member as members exchange more often within their club. The over $85 billion global vacation rentals industry is largely a fee-for-service business that offers vacation property owners the opportunity to rent their properties to leisure travelers. The industry is broadly divided into two segments. The first is the professionally managed rental segment, where the homeowner provides their property to an agent to rent, generally on an exclusive basis, and pays the agent a commission for marketing the property, managing bookings and providing quality assurance to the renter. The agent may also offer additional services such as daily housekeeping, on-site check-in, in-unit maintenance, and in-room guest amenities. The other segment of the industry is the rent-by-owner model whereby the property owner markets their home directly, typically through an online marketplace. The owner pays a fixed fee for a listing, usually regardless of whether the unit is rented, or a commission percentage for each booking. The property owner is responsible for marketing, housekeeping, maintenance and service issues and typically does not have the time, experience or resources to offer the same level of services as a professionally managed rental. Property owners also often find it cost prohibitive to subcontract out various elements of these services to various third-party vendors compared to securing one property rental manager. The rent-by-owner segment generally does not offer instant booking ability for renters, with the exception of those utilizing certain third-party booking channels. Conversely, professionally managed vacation rental companies collect rent in advance and may offer accounting, housekeeping, maintenance and other services. After deducting the applicable commissions, professional managers remit the net amount due to the property owners. In addition to commissions, professionally managed vacation rental companies may earn revenues from rental customers through fees that are incidental to the rental of the properties, such as for travel services, local transportation, on-site services and insurance or similar types of products. The global supply of vacation rental inventory is highly fragmented with much of it being made available by individual property owners. We believe that as of December 31, 2016, there were approximately 1.4 million properties in the U.S. and 4.4 million properties in Europe available for vacation rentals. In the U.S., vacation properties available for rental are primarily condominiums or stand-alone houses, whereas in Europe, rental offerings are more diverse, including individual homes, urban apartments and holiday park chalets. The global demand for vacation rentals is approximately 81 million vacation weeks per year, of which, 59 million are rented by leisure travelers in Europe. We believe this demand has been growing for the following reasons: (i) the consumer value of renting a unit for an entire family, (ii) the increased use of the internet as a tool for facilitating vacation rental transactions and (iii) increased consumer awareness of vacation rental options. Demand for vacation rental properties is often regional since many leisure travelers rent properties within driving distance of their home. Wyndham Destination Network is the world’s largest provider of professionally managed, unique vacation accommodations based on the number of accommodations. As the largest vacation rental manager, we go beyond connecting travelers with vacation suppliers, including affiliated timeshare developers and individual homeowners. We call it Peer-to-Peer Plus. For suppliers, we provide services such as yield management, marketing, cleaning, maintenance, reservations, billing and key handling. For vacationers, we offer great, hassle-free travel experiences across our diverse global portfolio by delivering the quality, consistency and service expected when booking through our trusted brands. Our mission is to send people on the vacation of their dreams and, during 2016, we sent nearly 14 million people to their desired destinations. Through our industry-leading tools, expertise and brands, we create connections between suppliers and guests to maximize supplier utilization and guest experience. We are largely a fee-for-service business with strong and predictable cash flows. RCI, our vacation exchange brand, operates three global vacation exchange programs: RCI Weeks, RCI Points and The Registry Collection. These programs serve a member base of timeshare and fractional owners who want flexibility and variety in their travel plans each year. RCI has over 40 years of industry experience and, together with The Registry Collection, has 3.8 million vacation exchange members. RCI generally retains approximately 90% of its members each year. In the vast majority of cases, RCI acquires new members when an affiliated timeshare developer pays for the initial term of an RCI membership on behalf of a timeshare owner as part of the vacation ownership purchase process. Generally, this initial membership is for either a 1 or 2 year term, after which these new members may choose to renew directly with RCI. We also acquire a small percentage of new members directly online from the secondary vacation ownership market. In certain circumstances, renewals are paid for by the developer. Members are entitled to receive periodicals published by RCI and, for additional fees, to use the applicable exchange program and other services. RCI also offers Platinum level memberships, which provide exclusive benefits to Weeks and Points members. RCI has relationships with over 4,300 vacation ownership resorts in over 110 countries and territories, located in North America, Europe, Latin America, South Africa, Caribbean, Asia Pacific and the Middle East regions. We tailor our strategies and operating plans for each region where RCI has or seeks to develop a substantial member base. Participants in these exchange programs pay annual membership dues and, for additional fees, are entitled to exchange intervals for intervals at other properties affiliated with RCI. In addition, certain members may exchange intervals for other leisure-related services and products which enable us to generate additional fees. When intervals are exchanged for these other services and products, RCI obtains the right to that member’s interval and may rent vacation properties in order to recoup the expense of providing these other services and products. The Registry Collection provides an exchange network of luxury vacation accommodations including fractional ownership resorts, higher end vacation ownership resorts, condo-hotels and yachts. Wyndham Vacation Rentals U.K. has over 70 years of industry experience and operates a number of well-recognized and established brands within the vacation rental market, including Hoseasons, cottages.com, Blue Chip Holidays and James Villa Holidays, and offers access to approximately 45,000 properties across the U.K. and continental Europe. Novasol is one of continental Europe’s largest rental companies with nearly 50 years of industry experience, featuring properties in nearly 30 European countries with over 44,000 exclusive holiday homes available for rent through well-recognized and established brands such as Novasol and Dansommer. Novasol also operates an urban apartment rental business under its newly acquired brand, Friendly Rentals, with approximately 2,400 units. over 1,300 campsite pitches throughout the Netherlands, Germany, Denmark, Austria, the Czech Republic, Belgium, Switzerland and Hungary. Every year more than 2 million guests visit Landal’s parks, many of which offer dining, shopping and wellness facilities. Wyndham Vacation Rentals N.A. offers over 10,000 rental properties, in beach, ski, mountain, theme park, golf and tennis resort destinations such as Florida, South Carolina, Colorado, Delaware, North Carolina, Alabama, Tennessee, Utah, California and British Columbia. It has more than 35 years of industry experience providing vacation rentals to travelers through recognized and established brands such as ResortQuest as well as well-known local brands. Our vacation rental brands professionally manage vacation rental properties through relationships with over 71,000 independent property owners in 35 countries and territories. Our brands have access to over 117,000 properties in nearly 650 destinations, with over 106,000 properties in Europe and approximately 11,000 properties in the U.S. and Canada. They provide access to select inventory to our 3.8 million RCI members. Our destination network business has the ability to source and rent inventory in over 110 countries and territories and currently books approximately 1.8 million vacation rental weeks per year through our vacation rental brands. Property owners typically enter into annual contracts with us to professionally manage the rental of their properties. Our destination network business generates substantially all of its revenues from fee-for-services. Our RCI brand derives a majority of its revenues from annual membership dues and fees for facilitating timeshare interval exchanges. RCI also derives revenues from: (i) additional services including those provided to transacting members, programs with affiliated resorts, club servicing and loyalty programs and (ii) additional products that provide members the ability to purchase trading power or points protection, extend the life of deposits, and combine two or more deposits for the opportunity to exchange into intervals with higher trading power. Our vacation rental brands primarily derive their revenues from fees, which generally average between 20% and 45% of the gross booking fees. For properties which we own, manage or operate under long-term capital and operating leases (which represent less than 10% of our inventory), we receive 100% of the revenues. Our vacation rental brands also derive revenues from additional services delivered to property owners, vacation rental guests and homeowner associations. No one customer, developer or group accounts for more than 5% of our destination network revenues. Average number of members - Represents members in our vacation exchange programs who paid annual membership dues as of the end of the period or within the allowed grace period. Exchange revenue per member - Represents total annualized revenues generated from fees associated with memberships, exchange transactions, member-related rentals and other servicing for the period divided by the average number of vacation exchange members during the period. Vacation rental transactions - Represents the number of transactions that are generated in connection with customers booking their vacation rental stays through one of our vacation rental brands. One rental transaction is recorded for each standard one-week rental. Average net price per vacation rental - Represents the net rental price generated from renting vacation properties to customers and other related rental servicing fees divided by the number of vacation rental transactions. Our destination network business has access to over 121,000 unique, non-traditional vacation properties in over 110 countries and territories for specified periods, predominantly on an exclusive basis. The properties available to travelers include cottages, villas, chalets, vacation ownership condominiums, fractional resorts, second homes, yachts, private residence clubs, traditional hotel rooms and city apartments. We offer travelers flexibility as to time of travel and a choice of lodging options. This flexibility also helps our timeshare developer affiliates as it provides additional benefit to the timeshare product. We offer property owners marketing, booking and quality control services. Some of our rental brands also offer property management services ranging from key-holding to full property maintenance. As the largest provider of professionally managed, unique vacation accommodations, we leverage inventory (independently owned properties and intervals of VOIs) across our network of brands to maximize value for affiliates, exchange members, vacation rental property owners and guests. We also leverage our scale and global marketing expertise to enhance demand and drive occupancy across our network of destinations. Inventory sourcing arrangements between our network of brands include (i) the development of an inventory distribution platform that enables the cross-selling initiatives of sharing inventory between our network of brands utilizing common, real-time interfaces between our brands’ inventory platforms and (ii) the ability to source vacation rental inventory for exchange members. We also provide industry-leading technology and revenue management expertise to optimize our network of destination inventory through automated tools and sophisticated yield management techniques. Over the past several years, we have implemented these new tools and techniques in many of our vacation rental brands in order to optimize pricing and occupancy and are in the process of incorporating these initiatives across the remainder of our vacation rental brands. These tools allow for automated price changes based on demand and other key factors. We believe these tools, when coupled with our revenue management experience, generate more revenue for homeowners at a fair market-based price for the consumer. Additionally, as part of our strategy to leverage analytics and technology, we have adapted our yield management technology to introduce new property recruiting tools. These new recruiting tools combine the power of hand-held tablet technology with our vast database of property and reservation information, enabling property recruiters to accurately predict the potential performance of properties based on their unique attributes. Through better information, our recruiters can help property owners maximize their revenue potential, leading to increased conversion of recruiting leads and ultimately higher revenues for the property owner and our business. The tool has been fully adopted by our UK cottage recruiting function and implementation is in progress throughout our continental European and North American operations. At our RCI brand, we affiliate with vacation ownership developers directly through our in-house sales teams. Affiliated developers sign agreements that have an average duration of approximately five years. Our members are acquired primarily through our affiliated developers as part of the vacation ownership purchase process. We also acquire a small percentage of our members directly online from the secondary vacation ownership market. At our vacation rental brands, we primarily enter into exclusive annual rental agreements with property owners. We market these rental properties online and offline to large databases of customers. Additional customers are sourced through transactional websites and offline advertising and promotions, and through the use of third-party travel agencies, tour operators and online distribution channels to drive additional occupancy. We have a number of specific branded websites to promote, sell and inform new customers about vacation rentals. Our loyalty program, RCI Elite Rewards, offers a co-branded credit card to our members. The card allows members to earn reward points that can be redeemed for items related to our exchange programs, including annual membership dues, exchange fees for transactions, and other services and products offered by RCI or certain third parties, including airlines and retailers. As part of Wyndham Worldwide, we also participate in the industry’s leading loyalty program, Wyndham Rewards. During 2016, we made more than 20,000 vacation rental properties available for redemption through Wyndham Rewards and will continue incorporating properties into the program in the years to come. We expect Wyndham Rewards to increase awareness of our vacation rental brands and drive incremental revenue. We invest in new technologies and online capabilities to ensure that our customers have the best experience and access to consistent information and services across digital and call center channels. We are pursuing several major initiatives to enhance our digital channels, mobile capabilities and e-commerce performance across our network of brands. Part of our strategy has been to enhance and expand our online distribution channels, including global partnerships with several industry leading online travel and vacation rental portals. This will continue to accelerate revenue growth and allow for more business on the web instead of through our call centers, thus generating cost savings for us. Our destination network initiatives have increased web penetration from 56% at the end of 2015 to 59% at the end of 2016. Important enhancements include streamlined search and transaction journeys, improved help and mobile functionality, enhanced inventory access across brands, more robust redesigned website content, and personalized content and offers for our customers. Recognizing that today’s on-the-go customer relies on mobile devices more frequently than ever before, we are further investing in our apps and mobile browsers based on the latest technologies coupled with a more nuanced understanding of customer behavior. New tools and responsive designs that take advantage of the portability and variability of mobile devices have been incorporated, allowing customers to research and plan activities, going beyond the travel booking transaction alone. Our destination network business also services its customers through global call centers. The requests we receive at our global call centers are handled by our vacation guides, who are trained to fulfill requests for exchanges and rentals. Call centers remain an important distribution channel for us and therefore we continue to invest resources to ensure that members and rental customers receive a high level of personalized customer service. Through our call centers, we also provide reservation booking, customer care and other services for our affiliates in a private label manner. We also provide certain call center servicing activities to Wyndham Hotel Group. We market our services and products to our customers using our nine primary consumer brands and other related brands in more than 200 offices worldwide through several marketing channels including direct mail, email, social media, telemarketing, online distribution channels, brochures, magazines and travel agencies. Our core marketing strategy is to personalize and customize our marketing to best match customer preferences. We have a comprehensive social and mobile media platform including apps for smartphones and tablets, Facebook and Pinterest fan pages, several Twitter and Instagram accounts and YouTube channels, online video content, and various online magazines. Our network of brands has approximately 95 publications involved in the marketing of the business, including various resort directories and periodicals related to the vacation industry. We use our publications for marketing as well as for member and rental customer retention and loyalty. Additionally, we promote our offerings to owners of resorts and vacation homes through trade shows, online and other marketing channels that include direct mail and telemarketing. promoting the benefits of timeshare and vacation rentals to new and existing customer segments. Our plans generally focus on pursuing these strategies organically. However, in appropriate circumstances, we will consider opportunities to acquire businesses, both domestic and international. Vacation exchange revenues are normally highest in the first quarter, which is generally when RCI members plan and book their vacations for the year. Rental transaction revenues earned are usually highest in the third quarter, when vacation arrivals are highest, combined with a compressed booking window, i.e., a reduction of the time between the booking date and the arrival date. Almost 60% of our European vacation rental customers book their reservations within 11 weeks of arrival dates and almost 75% within 20 weeks of arrival dates. Almost 60% of our North American vacation rental customers book their reservations within 6 weeks and over 70% within 10 weeks of arrival dates. Our destination network business faces competition globally. RCI competes with other exchange companies and certain developers and timeshare clubs offer exchanges through internal networks of properties, which can be operated by us or by the developer, that offer owners of intervals access to exchanges other than those offered by our vacation exchange business. Our vacation rental brands face competition from a broad variety of professional vacation rental managers, most of which are small regional operators and individual homeowners who pursue the rent-by-owner model, collectively using brokerage services, direct marketing and the internet to market and rent their vacation properties. The vacation ownership industry, also referred to as the timeshare industry, enables consumers to share ownership of a fully-furnished vacation accommodation. Typically, the consumer purchases either a title to a fraction of a unit or a right to use a property for a specific period of time. This is referred to as a Vacation Ownership Interest or VOI. For many purchasers, vacation ownership is an attractive alternative to traditional lodging accommodations at hotels. Unlike hotel customers, timeshare owners are immune to variability in room rates. Also, vacation ownership units are, on average, more than twice the size and typically have more amenities than traditional hotel rooms, such as kitchens or in-unit laundry. VOIs are generally sold through weekly intervals or points-based systems. Under the weekly intervals system, owners can use a specific unit at a specific resort often during a specific week of the year. Under the points-based system, owners often have advanced reservation rights for a particular destination, but are free to redeem their points for various unit types and/or locations. In addition, points owners can vary the length and frequency of product utilization. Once point values are established for particular units, they generally cannot be changed, ensuring that the value of owner’s points never diminishes. According to the American Resort Development Association (or “ARDA”, a trade association representing the vacation ownership and resort development industries) industry-wide sales were divided 70% for points-based systems and 30% for weekly intervals in 2015. The vacation ownership concept originated in Europe during the late 1960s and spread to the U.S. shortly thereafter. The industry expanded slowly in the U.S. until the mid-1980s. From the mid-1980s through 2007, it grew at a double-digit rate. Sales declined by approximately 8% in 2008 and experienced even greater declines in 2009 due to the global recession and a significant disruption in the credit markets. More recently, according to a 2016 report issued by ARDA, domestic vacation ownership sales were approximately $8.6 billion in 2015, compared to $7.9 billion in 2014. While a secondary resale market for VOIs exists, it is fragmented and lacks specific regulation. In addition, owners who purchase on the secondary market typically do not receive all of the benefits that owners who purchase directly from a developer receive. •the certainty of quality accommodations. Demographic factors explain, in part, the continued appeal of vacation ownership. A 2016 study of recent U.S. vacation ownership purchasers indicated that the average timeshare owner is 47 years old and has an average annual household income of $93,000. Nearly half of the respondents indicated they plan to buy or upgrade a timeshare over the next two years. This, along with other industry data, suggests that the typical purchaser in the U.S. has disposable income and is interested in purchasing vacation products. Although we believe baby boomers will continue to be active participants in the vacation ownership industry, this study notes that 41% of the respondents were Gen X’ers and 26% were Millennials and that the average age of new first time purchasers was 43 years old with an average household income of $88,000. The data also suggests that perception of the industry and primary reasons for buying their timeshare voiced by Millennials is similar to the overall population of owners but with them seeking even more flexibility in using and accessing the product. According to a 2014 ARDA study, 83% of timeshare owners expressed satisfaction with the product. Most owners can exchange their timeshare unit through exchange companies, and through the applicable vacation ownership company’s internal network of properties. Wyndham Vacation Ownership is the largest vacation ownership business in the world as measured by revenues and the number of vacation ownership resorts, units and owners. We develop and acquire vacation ownership resorts, market and sell VOIs, provide consumer financing for the majority of the sales, and provide property management services to property owners’ associations. As of December 31, 2016, we had 219 vacation ownership resorts in the U.S., Canada, Mexico, the Caribbean and the South Pacific that represent approximately 25,000 individual vacation ownership units and over 887,000 owners of VOIs. Our brands operate points-based vacation ownership programs through which VOIs can be redeemed for vacations that provide owners with flexibility as to resort location, length of stay, number of stays, unit type, and time of year. Our programs allow us to market and sell our vacation ownership products in variable quantities and to offer existing owners “upgrade” sales to supplement such owners’ existing VOIs. This contrasts with the fixed quantity of the traditional fixed-week vacation ownership, which is primarily sold on a weekly interval basis. Less than 1% of our VOI sales are from traditional fixed-week vacation ownership sales. Although we operate separate brands, we have integrated substantially all of the business functions, including consumer finance, information technology, staff functions, product development and marketing activities. Our vacation ownership business derives a majority of its revenues from timeshare sales, with the remainder coming from consumer financing and property management. Property management revenues are partly dependent on the number of units we manage. Gross vacation ownership interest Sales or VOIs - Represents sales of VOIs including WAAM sales before the net effect of percentage-of-completion (“POC”) accounting and loan loss provisions. Tours - Represents the number of tours taken by guests in our efforts to sell VOIs. Volume per guest or VPG - Represents gross VOI sales (excluding tele-sales upgrades, which are non-tour upgrade sales) divided by the number of tours. We have excluded non-tour upgrade sales in the calculation of VPG because non-tour upgrade sales are generated by a different marketing channel. As of December 31, 2016, approximately 515,000 owners held interests in Club Wyndham resort properties which are located primarily in the U.S. and consisted of 99 resorts (22 of which are shared with WorldMark by Wyndham and one of which is shared with Shell) that represented over 14,000 units. The majority of the resorts in which Club Wyndham markets and sells vacation ownership and other real estate interests are destination resorts located at or near attractions such as the Walt Disney World Resort in Florida, the Las Vegas Strip in Nevada, Myrtle Beach in South Carolina, Colonial Williamsburg in Virginia, and the Hawaiian Islands. WorldMark by Wyndham is a club consisting of 92 resorts (22 of which are shared with Club Wyndham, one of which is shared with Wyndham Vacation Resorts Asia Pacific and one of which is shared with Shell) and representing over 6,900 units which are located primarily in the Western U.S., Canada and Mexico. As of December 31, 2016, over 228,000 owners held vacation credits in the club. The resorts in which WorldMark by Wyndham markets and sells vacation credits are primarily drive-to resorts. As of December 31, 2016, over 54,000 owners held vacation credits for Wyndham Vacation Resorts Asia Pacific, which consists of 28 resorts (one of which is shared with WorldMark by Wyndham) representing approximately 1,400 units that are located exclusively in the South Pacific. Shell Vacations Club consists of 25 resorts (one of which is shared with Club Wyndham and one of which is shared with WorldMark by Wyndham) representing over 2,200 units which are primarily located in Hawaii, California, Arizona, Texas, Nevada, Oregon, New Hampshire, North Carolina, Wisconsin and Canada. As of December 31, 2016, over 90,000 owners held vacation points in the Shell Vacations Club. Timeshare owners pay annual maintenance fees to the property owners’ associations responsible for managing the applicable resorts or to the Clubs. The annual maintenance fee associated with the average VOIs purchased ranges from approximately $400 to $1,000. These fees are used to renovate and replace furnishings, pay for management, operating, maintenance, cleaning and insurance costs, cover taxes in some states, and pay for other related costs. As the owner of unsold inventory at resorts or unsold interests in the Clubs, we also pay maintenance fees in accordance with the legal requirements of the jurisdictions in which the resorts are located. In addition, at certain newly-developed resorts, we sometimes enter into subsidy agreements with the property owners’ associations to cover costs that otherwise would be covered by annual maintenance fees payable with respect to VOIs that have not yet been sold. We employ a variety of marketing channels to encourage prospective owners of VOIs to tour our properties and attend sales presentations at off-site sales offices. Our resort-based sales centers also enable us to actively solicit upgrade sales to existing owners of VOIs while they vacation at our resort properties. We also operate a tele-sales program designed to market upgrade sales to existing owners of our products. Sales of VOIs relating to upgrades represented approximately 67%, 68%, and 67% of our net VOI sales during 2016, 2015 and 2014, respectively. We use a variety of marketing programs to attract prospective owners, including sponsored contests that offer vacation packages or gifts, targeted mailings, outbound and inbound telemarketing efforts, and in association with Wyndham Hotel Group brands, other co-branded marketing programs and events. We also partner with Wyndham Hotel Group by utilizing the Wyndham Rewards loyalty program to offer Wyndham Rewards points as an incentive to prospective VOI purchasers, and by providing additional redemption options to Wyndham Rewards members. We also co-sponsor sweepstakes, giveaways, and promotional programs with professional teams at major sporting events and with other third parties at other high-traffic consumer events. Where permissible under state law, we offer cash awards or other incentives to existing owners for referrals of new owners. New owner acquisition is an important strategy for us as this will continue to maintain our pool of “lifetime” buyers of vacation ownership and thus enable us to solicit upgrade sales in the future. We believe the market for VOI sales is under-penetrated, and estimate that there are 53 million U.S. households that are potential purchasers of VOIs. We added approximately 33,000 new owners during 2016 and 30,000 during both 2015 and 2014. Our marketing and sales activities are often facilitated through marketing alliances with other travel, hospitality, entertainment, gaming and retail companies that provide access to such companies’ customers through a variety of co-branded marketing offers. Our resort-based sales centers, which are located in popular travel destinations throughout the U.S., generate substantial tour flow by enabling us to market to tourists already visiting these destination areas. Our marketing agents, who often operate on the premises of the hospitality, entertainment, gaming and retail companies with which we have alliances, solicit tourists with offers relating to entertainment activities and other incentives in exchange for the tourists visiting the local resorts and attending sales presentations. An example of a marketing alliance through which we market to tourists visiting destination areas is our current arrangement with Caesars Entertainment in Las Vegas, Nevada. This arrangement enables us to operate concierge-style marketing kiosks throughout select casinos and permits us to solicit patrons to attend sales presentations with casino-related rewards and entertainment offers, such as gaming chips, show tickets and dining certificates. We also operate our primary Las Vegas sales center within Harrah’s Casino and regularly shuttle prospective owners targeted by such sales centers to and from our nearby resort property. Other marketing alliances provide us with the opportunity to align our marketing and sales programs with well-known lifestyle brands that appeal to consumers with similar demographics to our current purchasers. One such example is our alliance with Margaritaville, a lifestyle brand popularized by musician/entertainer Jimmy Buffett, where we market to patrons of various Margaritaville product lines via multiple channels, including on-site marketing at Margaritaville restaurants, affiliated venues and events, as well as co-branded vacation ownership offerings. We offer a variety of entry-level programs and products as part of our sales strategy. For example, we have a program that allows prospective owners a one-time allotment of points or credits with no further obligations, which we refer to as our sampler program, and a biennial product that provides for vacations every other year. As part of our sales strategies, we rely on our points/credits-based programs, which provide prospective owners with the flexibility to buy relatively small packages of points or credits which can then be upgraded at a later date. To facilitate upgrade sales among existing owners, we market opportunities for owners to purchase additional points or credits through periodic marketing campaigns and promotions while those owners vacation at our resort properties. We offer financing to purchasers of VOIs which attracts additional customers and generates substantial incremental revenues and profits. We fund and service loans extended by Club Wyndham and WorldMark by Wyndham through our consumer financing subsidiary, Wyndham Consumer Finance, a wholly owned subsidiary of Wyndham Vacation Resorts based in Las Vegas, Nevada. Wyndham Consumer Finance performs loan financing, servicing and related administrative functions. We have funded Shell Vacations Club loans since the date of acquisition through our consumer finance subsidiary, and service them through a third-party. We typically perform a credit investigation or other inquiry into every purchaser’s credit history before offering to finance a portion of the purchase price of the VOIs. The interest rate offered to participating purchasers is determined by an automated underwriting process based upon the purchaser’s credit score, the amount of the down payment, and the size of purchase. We use a FICO score which is a branded version of a consumer credit score widely used within the U.S. by the largest banks and lending institutions. FICO scores range from 300 - 850 and are calculated based on information obtained from one or more of the three major U.S. credit reporting agencies that compile and report on a consumer’s credit history. For purchasers with large loan balances, we maintain higher credit standards for new loan originations. Our weighted average FICO score on new originations was 727 for 2016 and 725 for both 2015 and 2014. During 2016, we generated over $1.2 billion of new receivables on $1.9 billion of gross vacation ownership sales, net of WAAM Fee-for-Service sales, resulting in 63% of our vacation ownership sales being financed. This level of financing is prior to the receipt of addenda cash. Addenda cash represents the cash received for full payment of a loan within 15 to 60 days of origination. After the application of addenda cash, we finance approximately 54% of vacation ownership sales. We generally require a minimum down payment of 10% of the purchase price on all sales of VOIs and offer consumer financing for the remaining balance for up to 10 years. While the minimum is generally 10%, during 2016 and 2015, our average down payment on financed sales of VOIs was approximately 25% and 29% during 2016 and 2015, respectively. The decrease is attributable to lower down payment requirements to support our strategy to grow new members. These loans are structured with equal monthly installments that fully amortize the principal by the final due date. Similar to many other companies that provide consumer financing, we have historically securitized a majority of the receivables originated in connection with the sales of VOIs. We initially place the financed contracts into a revolving warehouse securitization facility, generally within 30 to 90 days after origination. Many of the receivables are subsequently transferred from the warehouse securitization facility and placed into term securitization facilities. Our consumer financing subsidiary is responsible for the maintenance of contract receivables files as well as all customer service, billing and collection activities related to the domestic loans we extend (except for loans associated with Shell Vacations Club). We assess the performance of our loan portfolio by monitoring numerous metrics including collections rates, defaults by state of residency and bankruptcies. Our consumer financing subsidiary also manages the selection and processing of loans pledged or to be pledged in our warehouse and term securitization facilities. As of December 31, 2016, our loan portfolio was 95% current (i.e., not more than 30 days past due). On behalf of each of the property owners’ associations, we or our affiliates generally provide day-to-day management for vacation ownership resorts, which includes oversight of housekeeping services, maintenance and refurbishment of the units, and provides certain accounting and administrative services to property owners’ associations. The terms of the property management agreements are generally between 3 to 5 years, however, the vast majority of the agreements provide a mechanism for automatic renewal upon expiration of the terms. In connection with these property management services, we receive fees which are generally based upon total costs to operate such resorts. Fees for property management services typically approximate 10% of budgeted operating expenses. Inventory reclaimed from owners’ associations or owners. 1. Self-developed inventory: Under the traditional timeshare industry development model, we finance and develop inventory specifically for our timeshare sales. The process often begins with the purchase of raw land which we then develop. Depending on the size and complexity of the project, this process can take several years. Such inventory can include mixed-use inventory developed in conjunction with one of our hotel brands, where a portion of the property is devoted to the timeshare product. 2. WAAM: In 2010, we introduced the first of our WAAM models, WAAM Fee-for Service (formerly known as WAAM 1.0). This timeshare sourcing model was designed to capitalize upon the large quantities of newly developed, nearly completed or recently finished condominium or hotel inventory in the real estate market without assuming the significant risk that accompanies property acquisition or new construction. This business model offers turn-key solutions for developers or banks in possession of newly developed inventory, which we sell for a fee through our extensive sales and marketing channels. WAAM Fee-for-Service enables us to expand our resort portfolio with little or no capital deployment, while providing additional channels for new owner acquisition and growth for our fee-for-service property management business. 3. Consumer loan defaults: As discussed in the “Purchaser Financing” section, we offer financing to purchasers of VOIs. In the event of a default, we are able to recover the inventory and resell it at full current value. We are responsible for the payment of maintenance fees to the property owners’ associations until the product is sold. As of December 31, 2016, inventory on the Consolidated Balance Sheet included estimated recoveries of loan defaults in the amount of $256 million. 4. Inventory reclaimed from owners’ associations or owners: We have entered into agreements with a majority of the property associations representing our developments where we may acquire from the associations, properties related to owners who have defaulted on their maintenance fees, provided there is no outstanding debt on such properties. In addition, we frequently work with owners to acquire their properties, provided they have no outstanding debt on such properties, prior to those owners defaulting on their maintenance fees. This provides the owner with a graceful exit from a property that is no longer utilized due to lifestyle changes. increasing cross-business benefits, new owner tours and customer loyalty by leveraging our Wyndham Rewards loyalty program. are generally higher in the second and third quarters than in other quarters. We cannot predict whether these seasonal trends will continue in the future. The vacation ownership industry is highly competitive and is comprised of a number of companies specializing primarily in sales and marketing, consumer financing, property management and development of vacation ownership properties. Our brand names and related trademarks, service marks, logos and trade names are very important to the businesses that make up our Wyndham Hotel Group, Wyndham Destination Network and Wyndham Vacation Ownership business units. Our subsidiaries actively use or license for use all significant marks, and we own or have exclusive licenses to use these marks. We register the marks that we own in the United States Patent and Trademark Office, as well as with other relevant authorities where we deem appropriate, and seek to protect our marks from unauthorized use as permitted by law. As of December 31, 2016, we had approximately 37,800 employees, including approximately 10,000 employees outside of the U.S. As of December 31, 2016, our hotel group business had approximately 8,700 employees, our destination network business had approximately 10,400 employees, our vacation ownership business had approximately 18,000 employees and our corporate group had approximately 700 employees. Approximately 10% of our employees are subject to collective bargaining agreements governing their employment with our company. Our compliance with laws and regulations relating to environmental protection and discharge of hazardous materials has not had a material impact on our capital expenditures, earnings or competitive position and we do not anticipate any material impact from such compliance in the future. We are committed to being at the forefront of sustainable business practices and we continue to work toward meeting all corporate social responsibility regulations in areas where we do business. During 2014, we met our goal to reduce our carbon emissions by 20% of our owned, managed and leased assets (based on square foot intensity).We have increased our goal to reduce our carbon emissions and water consumption by 40% by the year 2025 (based on square foot intensity). We will maintain our goal to ensure that 30% of our qualified supply chain spend is with suppliers who meet our Wyndham Green criteria by 2020. As of December 31, 2015, 27% of suppliers were considered to be in alignment with Wyndham’s sustainability initiatives. In 2016, we reached our goal to plant one million trees which has helped us to improve our biodiversity footprint. Before you invest in our securities you should carefully consider each of the following risk factors and all of the other information provided in this report. We believe that the following information identifies the most significant risks that may impact us. However, the risks and uncertainties we face are not limited to those set forth in the risk factors described below. In addition, past financial performance may not be a reliable indicator of future performance and historical trends should not be used to anticipate results or trends in future periods. If any of the following risks and uncertainties develops into an actual event, the event could have a material adverse effect on our business, financial condition or results of operations. In such case the market price of our common stock could decline. The hospitality industry is highly competitive and we are subject to risks relating to competition that may adversely affect our performance. We will be adversely impacted if we cannot compete effectively in the highly competitive hospitality industry. Our continued success depends upon our ability to compete effectively in markets that contain numerous competitors, some of which may have significantly greater financial, marketing and other resources than we have. Competition may reduce fee structures, potentially causing us to lower our fees or prices, which may adversely impact our profits. New competition or existing competition that uses a business model that is different from our business model may require us to change our model so that we can remain competitive. We may not be able to achieve our growth and performance objectives. We may not be able to achieve our growth and performance objectives for increasing: our earnings and cash flows, the number of franchised and/or managed properties in our hotel group business, the number of vacation exchange members and related transactions, the number of rental weeks sold by and the number of units in our destination network business, and the number of tours and new owners generated and vacation ownership interests sold by our vacation ownership business. Acquisitions and other strategic transactions may not prove successful and could result in operating difficulties and failure to realize anticipated benefits. We regularly consider a wide array of acquisitions and other potential strategic transactions, including acquisitions of businesses and real property, joint ventures, business combinations, strategic investments and dispositions. Any of these transactions could be material to our business. We often compete for these opportunities with third parties, which may cause us to lose potential opportunities or to pay more than we might otherwise have paid absent such competition. We cannot assure you that we will be able to identify and consummate strategic transactions and opportunities on favorable terms or that any such strategic transactions or opportunities, if consummated, will be successful. Acquisitions and other strategic transactions involve significant risk and the process of integrating and assimilating any strategic transaction may create unforeseen operating difficulties and costs and we may not realize the anticipated benefits of any of these strategic transactions or opportunities. Pursuing and consummating strategic transactions and opportunities may require us to issue significant additional debt or obtain equity financing, spend existing cash or incur liabilities and other expenses including amortization of acquired intangible assets or write-offs of goodwill. Strategic transactions may be entered into by us or by one or more of our subsidiaries. With respect to those transactions entered into by a subsidiary, we may from time to time provide a performance guaranty of the subsidiary’s obligations, which may expose us to litigation risks in the event of a dispute between transaction parties. We are dependent on our senior management. We believe that our future growth depends in part on the continued services of our senior management team. Losing the services of any members of our senior management team could adversely affect our strategic and customer relationships and impede our ability to execute our business strategies. Our revenues are highly dependent on the travel industry and declines in or disruptions to the travel industry such as those caused by economic slowdown, terrorism, political strife, pandemics or threats of pandemics, acts of God and war may adversely affect us. disasters; increased pricing, financial instability and capacity constraints of air carriers; airline job actions and strikes; and increases in gasoline and other fuel prices. We are subject to operating or other risks common to the hospitality industry. Third-party Internet reservation systems and peer-to-peer online networks may adversely impact us. Consumers increasingly use third-party Internet travel intermediaries and peer-to-peer online networks to search for and book their hotel, resort and other travel accommodations. As the use of these third-party reservation channels increases, consumers may rely on these channels to the detriment of our hotel, rental and vacation ownership brands bookings and rates. In addition, the continued development and use of peer-to-peer online networks for lodging and vacation rentals are causing some local governments to enact bans or restrictions on short-term property rentals that may adversely impact our vacation rental business. The continued success of our hotel business relies upon continued growth in the number of hotel properties under our brands and the performance of our franchisees. We have been historically successful in growing the number of our brands and franchised hotels in our hotel business and our revenues and profitability in our hotel segment relies upon our achieving continued growth objectives for franchised hotels. We are subject to many challenges sustaining system size and growing the number of our franchised hotels including maintaining the quality of our service or services through third-party providers, operational support and reservation systems to support our franchisees, our ability to compete with other hotel owners for existing and future hotel franchisees, our ability to continue and enhance consumer acceptance of our brands and the quality of our managers and entire organization in supporting our hotel business. We also are subject to the risk of entering into franchise relationships with owners and operators who do not achieve or maintain the quality standards we set, which if not appropriately and timely addressed could adversely impact our brand image and our ability to attract quality franchisee operators. Our hotel business depends in part on our management arrangements with third parties. Our hotel business is a party to management arrangements with certain of our hotel owners under which we may be required in certain instances to satisfy certain financial and performance criteria and standards. Our ability to satisfy these financial and other performance criteria is subject to many of the risks common to the hotel industry as described in this report. Should any of these arrangements be terminated by reason of our failure to satisfy financial or performance criteria or require us to make payments that result in us incurring losses, it may have an adverse impact on our operating performance and profitability. We may provide a parent guaranty of our subsidiaries’ performance under the arrangements which could expose us to litigation risks in the event of a dispute. We cannot assure you that all of our current and future management arrangements will continue or that we will be able to enter into new management arrangements in the future on favorable terms. We are subject to risks related to our vacation ownership receivables portfolio. We are subject to risks that purchasers of vacation ownership interests who finance a portion of the purchase price default on their loans due to adverse macro or personal economic conditions, third-party organizations that encourage defaults or otherwise, which would increase loan loss reserves and adversely affect loan portfolio performance; if such defaults occur during the early part of the loan amortization period we will not have recovered the marketing, selling, administrative and other costs associated with such vacation ownership interests; such costs will be incurred again in connection with the resale of the repossessed vacation ownership interest; and the value we recover in a default is not in all instances sufficient to cover the outstanding debt. Our international operations are subject to risks not generally applicable to our domestic operations. Our international operations are subject to numerous risks including exposure to local economic conditions; potential adverse changes in the diplomatic relations of foreign countries with the U.S.; hostility from local populations; political instability; threats or acts of terrorism; restrictions and taxes on the withdrawal of foreign investment and earnings; government policies against businesses or properties owned by foreigners; investment restrictions or requirements; diminished ability to legally enforce our contractual rights in foreign countries; foreign exchange restrictions; fluctuations in foreign currency exchange rates; conflicts between local laws and U.S. laws including laws that impact our rights to protect our intellectual property; withholding and other taxes on remittances and other payments by subsidiaries; and changes in and application of foreign taxation structures including value added taxes. Any adverse outcome resulting from the financial instability or performance of foreign economies, the instability of other currencies and the related volatility on foreign exchange and interest rates could impact our results of operations, financial position or cash flows. In addition, we are directly and indirectly affected by new tax legislation and regulation and the interpretation of tax laws and regulations worldwide. Changes in such legislation, regulation or interpretation could increase our taxes and have an adverse effect on our operating results and financial condition. This includes potential changes in tax laws or the interpretation of tax laws arising out of the Base Erosion Profit Shifting project initiated by the Organization for Economic Co-operation and Development. We are subject to certain risks related to our indebtedness, hedging transactions, securitization of certain of our assets, surety bond requirements, the cost and availability of capital and the extension of credit by us. Economic conditions affecting the hospitality industry, the global economy and credit markets generally may adversely affect our business and results of operations, our ability to obtain financing or securitize our receivables on reasonable and acceptable terms, the performance of our loan portfolio and the market price of our common stock. The future economic environment for the hospitality industry and the global economy may continue to be challenging. The hospitality industry has experienced and may experience in the future significant downturns in connection with or in anticipation of declines in general economic conditions which may lower demand for hospitality services and products. Declines in consumer and commercial spending may adversely affect our revenues and profits. Our access to credit and capital also depends in large measure on market liquidity factors, which we do not control. Our ability to access the credit and capital markets may be restricted at times when we require or want access, which could impact our business plans and operating model. Uncertainty or volatility in the equity and credit markets may also negatively affect our ability to access short-term and long-term financing on reasonable terms or at all, which would negatively impact our liquidity and financial condition. In addition, if one or more of the financial institutions that support our existing credit facilities fails we may not be able to find a replacement, which would negatively impact our ability to borrow under the credit facilities. Disruptions in the financial markets may adversely affect our credit rating and the market value of our common stock. While we believe we have adequate sources of liquidity to meet our anticipated requirements for working capital, debt service and capital expenditures for the foreseeable future, if we are unable to refinance or repay our outstanding debt when due, our results of operations and financial condition will be materially and adversely affected. Our liquidity as it relates to our vacation ownership contract receivables securitization program could be adversely affected if we were to fail to renew or replace our securitization warehouse conduit facility on its renewal date or if a particular receivables pool were to fail to meet certain ratios, which could occur in certain instances if the default rates or other credit metrics of the underlying vacation ownership contract receivables deteriorate. Our ability to sell securities backed by our vacation ownership contract receivables depends on the continued ability and willingness of capital market participants to invest in such securities. It is possible that asset-backed securities issued under our securitization programs could in the future be downgraded by credit agencies. If a downgrade occurs, our ability to complete other securitization transactions on acceptable terms or at all could be jeopardized. We could be forced to rely on other potentially more expensive and less attractive funding sources to the extent available which would decrease our profitability and may require us to adjust our business operations accordingly including reducing or suspending our financing to purchasers of vacation ownership interests. If for any reason our sources of liquidity, including our securitization programs, were to decrease such that we were required to reduce or suspend our financing for any significant number of purchases of our vacation ownership contracts, our sales of vacation ownership interests would likely decrease. We are subject to risks related to litigation. We are subject to a number of legal actions and the risk of future litigation as described in this report. We cannot predict with certainty the ultimate outcome and related damages and costs of litigation and other proceedings filed by or against us. Adverse results in litigation and other proceedings may harm our business. Our businesses are subject to extensive regulation and the cost of compliance or failure to comply with such regulations may adversely affect us. Our businesses are heavily regulated by federal, state and local governments in the countries in which our operations are conducted. In addition, domestic and foreign federal, state and local regulators may enact new laws and regulations that may reduce our revenues, cause our expenses to increase or require us to modify substantially our business practices. If we are not in compliance with applicable laws and regulations including among others those governing franchising, timeshare, vacation rentals, consumer financing and other lending, information security, data protection, marketing and sales, unfair and deceptive trade practices, bribery and corruption, telemarketing including do not call and call recording regulations, licensing, labor, employment, anti-discrimination, health care, health and safety, accessibility, immigration, gaming, environmental including climate change, securities, stock exchange listing, accounting, tax and regulations applicable under the Dodd-Frank Act, Office of Foreign Asset Control and the Foreign Corrupt Practices Act and local equivalents in international jurisdictions, we may be subject to regulatory investigations or actions, fines, penalties, injunctions and potential criminal prosecution. In addition, increases in the cost and administrative burden of compliance with such laws and regulations may negatively impact us. We have substantial business operations outside the U.S. and we are subject to compliance with significant laws and regulations governing fraud, bribery and other anti-corruption laws. Legislation such as the Foreign Corrupt Practices Act, The United Kingdom Bribery Act and other similar fraud, bribery and anti-corruption laws prohibit companies and their intermediaries from making improper payments to public or private officials for the purposes of obtaining or retaining business. We have policies and processes in place for the purpose of monitoring compliance with these laws. We provide training to our employees as part of our compliance programs in order to protect against noncompliance or violations of these laws. However, there can be no assurance that our policies, processes, and training will always protect us against any noncompliance with these laws and regulations. Should we violate or not comply with any of these fraud, bribery or other anti-corruption laws or regulations, either intentionally or unintentionally, or through the acts of intermediaries, we could incur significant civil and/or criminal penalties. We are subject to extensive federal, state and local environmental laws and regulations. Our operations, as well as the operations of our hotel and other property owners, are subject to a significant array of environmental laws and regulations, including those relating to discharges into water, emissions to air, releases of hazardous and toxic substances and remediation of contaminated sites. We could be liable under such laws and regulations for the cost of cleaning up or removing hazardous substances at or in connection with our currently or formerly owned or operated properties, often whether or not the owner or operator knew of or was responsible for the presence, discharge or transfer of such hazardous or toxic substances. The cost of investigation, remediation and other requirements for the clean-up, treatment or remediation of contaminated sites could be substantial. Further, contamination on or from any of our currently or formerly owned or operated properties could subject us to liability to third parties or governmental authorities for remediation costs and injuries to persons, property or natural resources. Although we do not typically arrange for the treatment or disposal of large quantities of hazardous or toxic substances, we could also be held liable for the clean-up of third-party disposal sites where we have arranged for the disposal of our wastes. Our ability to market successfully our services and products may be adversely impacted by continued changes in privacy laws and regulations. Our operating model relies on a broad array of marketing programs to our customers and prospective customers, including telemarketing, emails, social media and other marketing techniques and programs. These marketing programs are subject to extensive laws and regulations in the U.S. and international markets regulating consumer marketing and solicitation as well as data protection. While we continue to monitor all such laws and regulations, the cost of compliance impacts our operating costs. In addition, these laws require us to regularly adjust our marketing programs and techniques, and compliance with all of these laws and regulations may impact and restrict the success of our marketing programs, which could lead to less frequent or less impactful marketing to our customers and our prospective customers. Failure to maintain the security of personally identifiable and other information, non-compliance with our contractual or other legal obligations regarding such information or a violation of our privacy and security policies with respect to such information could adversely affect us. In June 2012, the U.S. Federal Trade Commission (FTC) filed a lawsuit against us and our subsidiaries, Wyndham Hotel Group, LLC, Wyndham Hotels & Resorts Inc. (WHR) and Wyndham Hotel Management Inc., alleging unfairness and deception-based violations of Section 5 of the FTC Act in connection with three prior data breach incidents involving a group of Wyndham brand hotels. We disputed the allegations in the lawsuit and defended this lawsuit vigorously. In December 2015, the Federal District Court for the District of New Jersey entered a Stipulated Order for Injunction (Stipulated Order) that was negotiated and agreed to by us and the FTC. The Court also dismissed the lawsuit with prejudice. We did not pay any monetary relief in connection with the Stipulated Order. The Stipulated Order requires WHR to maintain an information security program for payment card information within WHR’s network and provides WHR with a safe harbor provided it continues to meet certain requirements for reasonable data security as outlined in the Stipulated Order. We do not believe that the data breach incidents were or that the Stipulated Order is material to us. In connection with our business, we and our service providers collect and retain large volumes of certain types of personal and proprietary information pertaining to our customers, stockholders and employees. Such information includes but is not limited to large volumes of customer credit and payment card information. The legal, regulatory and contractual environment surrounding information security and privacy is constantly evolving and the hospitality industry is under increasing attack by cyber-criminals operating on a global basis. Our information technology infrastructure, including but not limited to our information systems and legacy proprietary online reservation and inventory management systems has been and will likely continue to be vulnerable to system failures, computer hacking, cyber-terrorism, computer viruses, and other intentional or unintentional interference, negligence, fraud, misuse and other unauthorized attempts to access or interfere with these systems and our personal and proprietary information. No such incidents have been material to our business to date. The increased scope and complexity of our information technology infrastructure and systems could contribute to the potential risk of security breaches or breakdown. While we maintain what we believe are reasonable security controls over proprietary information as well as the personal information of our customers, stockholders and employees, any breach of or breakdown in our systems that results in the unauthorized release of proprietary or personal information could nevertheless occur and have a material adverse effect on our brands, reputation, business, financial condition and results of operations, as well as subject us to significant regulatory actions and fines, litigation, loss, third-party damages and other liabilities. Such a breach or a breakdown could also materially increase our costs to protect such information and to protect against such risks. A failure on our part to comply with information security, privacy and other similar laws and regulations with respect to the protection and privacy of personal or proprietary information could subject us to significant fines and other regulatory sanctions. The insurance that we carry may not at all times cover our potential liabilities, losses or replacement costs. We carry insurance for general liability, property, business interruption and other insurable risks with respect to our business and properties. We also self-insure for certain risks up to certain monetary limits. The terms and conditions or the amounts of coverage of our insurance may not at all times be sufficient to pay or reimburse us for the amount of our liabilities, losses or replacement costs, and there may also be risks for which we do not obtain insurance in the full amount concerning a potential loss or liability, or at all, due to the cost or availability of such insurance. As a result, we may incur liabilities or losses in the operation of our business, which may be substantial, which are not sufficiently covered by the insurance we maintain, or at all, which could have a material adverse effect on our business, financial condition and results of operations. If we are unable to adequately protect and maintain our intellectual property, our business could be adversely affected. If we are unable to adequately protect and maintain our trademarks, trade dress and other intellectual property rights, our business could be adversely affected. We generate, maintain, utilize and enforce a substantial portfolio of trademarks, trade dress and other intellectual property that are fundamental to all of our brands. There can be no assurance that the steps we take to protect our intellectual property will be adequate. Any event that materially damages the reputation of one or more of our brands could have an adverse impact on the value of that brand and subsequent revenues from that brand. The value of any brand is influenced by a number of factors including consumer preference and perception and our failure to ensure compliance with brand standards. We rely on information technologies and systems to operate our business, which involves reliance on third-party service providers and uninterrupted operations of service facilities. We rely on information technologies and systems to operate our business, which involves reliance on third-party service providers and uninterrupted operations of service facilities. Any disaster, disruption or other impairment in our technology capabilities and service facilities or those of our vendors could harm our business. Our businesses depend upon the use of sophisticated information technologies and systems, including those utilized for reservation systems, vacation exchange systems, hotel/property management, communications, procurement, member record databases, call centers, operation of our loyalty programs and administrative systems. We also maintain physical facilities to support these systems and related services. The operation, maintenance and updating of these technologies, systems and facilities are dependent upon internal and third-party technologies, systems, services and support and are subject to natural disasters and other disruptions for which there are no assurances of uninterrupted availability or adequate protection. We and our franchisees utilize certain technology platforms for services, including for reservation systems and property management, and in certain instances rely on third party service providers to effectively deliver such services through these technology platforms. Any system error or failure may significantly delay response times or even cause our system to fail. Any disruption in our ability to provide the use of our reservation systems to our customers, including as a result of software or hardware issues related to the reservation system or the actions of third parties, could result in customer dissatisfaction and harm to our reputation and business. Our systems and operations are vulnerable to interruption, malfunction or manipulation, including as the result of natural disasters, power loss, telecommunication failures, data and other security breaches, misuse, break-ins, sabotage, computer viruses, intentional acts of vandalism and similar events. Any interruption, delay or system failure could result in financial losses, customer claims and litigation and damage to our reputation. There can be no assurance that disruptions of the operation of these systems will not occur as a result of failures related to us or our third party providers. The termination of our agreement with our third party provider for our central reservation booking systems and revenue management services may materially harm our business if we were not able to replace the services of the third party provider in a timely manner. We are subject to risks related to corporate social responsibility. Many factors influence our reputation and the value of our brands including the perception held by our key stakeholders and the communities in which we do business. Our business faces increasing scrutiny related to environmental, social and governance activities and risk of damage to our reputation and the value of our brands if we fail to act responsibly or comply with regulatory requirements in a number of areas such as safety and security, responsible tourism, environmental and availability of resources, supply chain management, climate change, diversity, human rights, philanthropy, and support for local communities. The market price of our shares may fluctuate. announcements by us or our competitors of significant acquisitions or dispositions; the lack of securities analysts covering our common stock; changes in earnings estimates by securities analysts or our ability to meet those estimates; the operating and stock price performance of comparable companies; overall market fluctuations; and general economic conditions. Stock markets in general have experienced volatility that has often been unrelated to the operating performance of a particular company. These broad market fluctuations may adversely affect the trading price of our common stock. Your percentage ownership in Wyndham Worldwide may be diluted in the future. Your percentage ownership in Wyndham Worldwide may be diluted in the future because of equity awards that we have and expect will be granted over time to our Directors and employees. In addition, our Board may issue shares of our common and preferred stock and debt securities convertible into shares of our common and preferred stock up to certain regulatory thresholds without shareholder approval. Provisions in our certificate of incorporation and by-laws and under Delaware law may prevent or delay an acquisition of Wyndham Worldwide which could impact the trading price of our common stock. Our certificate of incorporation and by-laws and Delaware law contain provisions that are intended to deter coercive takeover practices and inadequate takeover bids by making such practices or bids unacceptably expensive and to encourage prospective acquirers to negotiate with our Board rather than to attempt a hostile takeover. These provisions include that stockholders do not have the right to act by written consent, rules regarding how stockholders may present proposals or nominate directors for election at stockholder meetings, the right of our Board to issue preferred stock without stockholder approval and limitations on the right of stockholders to remove directors. Delaware law also imposes restrictions on mergers and other business combinations between us and any holder of 15% or more of our outstanding common stock. We cannot provide assurance that we will continue to pay dividends or purchase shares of our common stock under our stock repurchase program. There can be no assurance that we will have sufficient cash or surplus under Delaware law to be able to continue to pay dividends or purchase shares of our common stock under our stock repurchase program. This may result from extraordinary cash expenses, actual expenses exceeding contemplated costs, funding of capital expenditures, increases in reserves or lack of available capital. Our Board may also suspend the payment of dividends or our stock repurchase program if the Board deems such action to be in the best interests of our stockholders. If we do not pay dividends, the price of our common stock must appreciate for you to realize a gain on your investment in Wyndham Worldwide. This appreciation may not occur and our stock may in fact depreciate in value. We are responsible for certain of Cendant’s contingent and other corporate liabilities. Under the separation agreement and the tax sharing agreement that we executed with Cendant (now Avis Budget Group) and former Cendant units, Realogy and Travelport, we and Realogy generally are responsible for 37.5% and 62.5%, respectively, of certain of Cendant’s contingent and other corporate liabilities and associated costs including certain contingent and other corporate liabilities of Cendant or its subsidiaries to the extent incurred on or prior to August 23, 2006. These liabilities include those relating to certain of Cendant’s terminated or divested businesses, the Travelport sale, certain Cendant-related litigation, actions with respect to the separation plan and payments under certain contracts that were not allocated to any specific party in connection with the separation. If any party responsible for the liabilities described above were to default on its obligations, each non-defaulting party including Avis Budget would be required to pay an equal portion of the amounts in default. Accordingly, we could under certain circumstances be obligated to pay amounts in excess of our share of the assumed obligations related to such liabilities including associated costs. In accordance with the terms of the separation agreement, Realogy posted a letter of credit in April 2007 for our and Cendant’s benefit to cover its estimated share of the assumed liabilities discussed above although there can be no assurance that such letter of credit will be sufficient to cover Realogy’s actual obligations if they arise. We may be required to write-off all or a portion of the remaining value of our goodwill or other intangibles of companies we have acquired. growth rates in our industry. We may be required to record a significant non-cash impairment charge in our financial statements during the period in which any impairment of our goodwill or other intangible assets is determined, negatively impacting our results of operations and stockholders’ equity. Our corporate headquarters is located in a leased office at 22 Sylvan Way in Parsippany, New Jersey, which lease expires in 2029. We also have a leased office in Virginia Beach, Virginia for our Associate Service Center, which lease expires in 2019. The main corporate operations of our hotel group business share office space in our corporate headquarters leased in Parsippany, New Jersey. Our hotel group business also leases space for its reservations centers and/or data warehouses in Phoenix, Arizona and Saint John, New Brunswick, Canada pursuant to leases that expire in 2020. In addition, our hotel group business has nine leases for office space in various countries outside the U.S. with varying expiration dates ranging between 2017 and 2021. Our hotel group business also has three leases for office space within the U.S. with varying expiration dates ranging between 2018 and 2020. All leases that are due to expire in 2017 are presently under review related to our ongoing requirements. Wyndham Destination Network has its main corporate operations in a leased office in Parsippany, New Jersey, which lease expires in 2029. Wyndham Destination Network also owns 30 properties, of which 20 are located in the U.S., five are located in Denmark, four are located in the U.K. and one is located in Mexico. Wyndham Destination Network has 175 leased offices that expire between 2017 through 2035, of which 83 are located in North America, 81 are located in Europe, eight are located in Latin America and three are located in Asia Pacific. All leases that are due to expire in 2017 are presently under review related to our ongoing requirements. Our vacation ownership business has its main corporate operations in Orlando, Florida pursuant to several leases, which begin to expire in 2025. Our vacation ownership business also has leased spaces in Redmond, Washington; Springfield, Missouri; Chicago, Illinois; Las Vegas, Nevada; and Bundall, Australia with various expiration dates. Our vacation ownership business leases space for administrative functions in Las Vegas, Nevada that expires in 2028 and in Northbrook, Illinois that expires in 2017. In addition, the vacation ownership business leases approximately 113 marketing and sales offices, of which approximately 96 are located throughout the U.S., nine are located in Australia, four are located in the Caribbean, three are located in Mexico, and one is located in Canada with varying expiration dates. All leases that are due to expire in 2017 are presently under review related to our ongoing requirements. We are involved in various claims and lawsuits arising in the ordinary course of business, none of which, in the opinion of management, is expected to have a material adverse effect on our results of operations or financial condition. See Note 17 to the Consolidated Financial Statements for a description of claims and legal actions arising in the ordinary course of our business and Note 23 to the Consolidated Financial Statements for a description of our obligations regarding Cendant contingent litigation. Our common stock is listed on the New York Stock Exchange (“NYSE”) under the symbol “WYN”. As of January 31, 2017, the number of stockholders of record was 5,508. The following table sets forth the quarterly high and low closing sales prices per share of WYN common stock as reported by the NYSE for the years ended December 31, 2016 and 2015. During 2016 and 2015, we paid a quarterly dividend of $0.50 and $0.42, respectively, per share of common stock issued and outstanding on the record date for the applicable dividend. During February 2017, our Board of Directors (“Board”) authorized an increase of our quarterly dividend to $0.58 per share beginning with the dividend expected to be declared during the first quarter of 2017. Our dividend payout ratio is now approximately 38% of the midpoint of the range of our estimated 2017 net income after certain adjustments. Our dividend policy for the future is to grow our dividend at least at the rate of growth of our earnings. The declaration and payment of future dividends to holders of our common stock are at the discretion of our Board and depend upon many factors, including our financial condition, earnings, capital requirements of our business, covenants associated with certain debt obligations, legal requirements, regulatory constraints, industry practice and other factors that our Board deems relevant. There can be no assurance that a payment of a dividend will occur in the future. (*) Includes 114,400 shares purchased for which the trade date occurred during December 2016 while settlement occurred during January 2017. On August 20, 2007, our Board authorized our current stock repurchase program that enables us to purchase our common stock. The Board has since increased the capacity of the program seven times, most recently on February 8, 2016 by $1.0 billion, bringing the total authorization under the program to $5.0 billion. Under our current and prior stock repurchase plans, the total authorization is $5.8 billion. During the period January 1, 2017 through February 16, 2017, we repurchased an additional 1.0 million shares at an average price of $78.52 for a cost of $76 million. We currently have $665 million remaining availability in our program. The amount and timing of specific repurchases are subject to market conditions, applicable legal requirements and other factors. Repurchases may be conducted in the open market or in privately negotiated transactions. The Stock Performance Graph is not deemed filed with the SEC and shall not be deemed incorporated by reference into any of our prior or future filings made with the SEC. 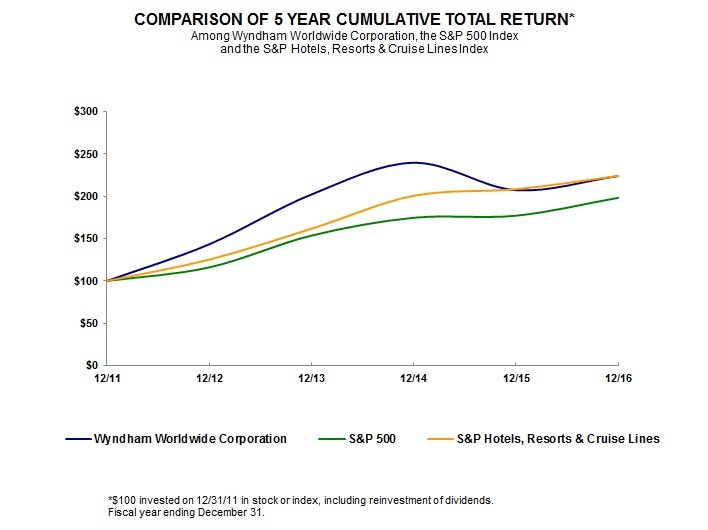 The following line graph compares the cumulative total stockholder return of our common stock against the S&P 500 Index and the S&P Hotels, Resorts & Cruise Lines Index (consisting of Carnival Corporation, Marriott International Inc., Royal Caribbean Cruises Ltd. and Wyndham Worldwide Corporation) for the period from December 31, 2011 to December 31, 2016. The graph assumes that $100 was invested on December 31, 2011 and all dividends and other distributions were reinvested. Includes operating, cost of VOIs, consumer financing interest, marketing and reservation and general and administrative expenses. Represents the portion of gross vacation ownership contract receivables, securitization restricted cash and related assets that collateralize our securitized debt. Refer to Note 14 -Variable Interest Entities. Reflects the impact of the adoption of the new accounting standards related to the balance sheet classification of deferred taxes and the presentation of debt issuance costs during 2016. See Note 2 - Summary or Significant Accounting Polices for additional information regarding the adoption of this guidance. The impact from acquisitions/dispositions has been included from their acquisition/disposition dates forward. In presenting the financial data above in conformity with generally accepted accounting principles, we are required to make estimates and assumptions that affect the amounts reported. See “Management’s Discussion and Analysis of Financial Condition and Results of Operations — Financial Condition, Liquidity and Capital Resources — Critical Accounting Policies,” for a detailed discussion of the accounting policies that we believe require subjective and complex judgments that could potentially affect reported results. See Note 4 to the Consolidated Financial Statements for a discussion of acquisitions completed during 2016, 2015 and 2014. During 2014, we sold our U.K.-based camping business at our destination network business resulting in a $20 million loss. As a result of this transaction, we received $1 million of cash, net, reduced our net assets by $11 million, wrote-off $6 million of foreign currency translation adjustments and recorded a $4 million indemnification liability. Such loss was recorded within loss on sale and asset impairments on the Consolidated Statement of Income. During 2016, we recorded $15 million of charges related to restructuring initiatives, primarily focused on enhancing organizational efficiency and rationalizing existing facilities which included the closure of vacation ownership sales offices. During 2015, we recorded $6 million of restructuring cost resulting from a realignment of brand services and call center operations within our hotel group business, a rationalization of international operations within our destination network business and a reorganization of the sales function within our vacation ownership business. Additionally in 2015, we recorded a $7 million non-cash impairment charge at our hotel group business related to the write-down of terminated in-process technology projects resulting from the decision to outsource our reservation system to a third-party partner. During 2014, we recorded $12 million of restructuring costs at our destination network and hotel group businesses targeted at improving the alignment of the organizational structure of each business with their strategic objectives. In addition, we reversed $1 million of previously recorded contract termination costs related to our 2013 organizational realignment initiative. Additionally in 2014, we recorded a $7 million non-cash charge at our destination network business related to the write-down of an equity investment which was the result of a reduction in the fair value of an entity in which we have a minority ownership position. We also recorded an $8 million non-cash charge at our hotel group business related to the write-down of an investment in a joint venture, which was the result of the joint venture’s recurring losses and negative operating cash flows. During 2013, we recorded $10 million of restructuring costs, of which $9 million was related to an organizational realignment initiative committed to at our hotel group business, primarily focused on optimizing its marketing structure. In addition, we recorded $8 million of non-cash impairment charges at our hotel group business primarily related to a partial write-down of our Hawthorn trademark due to lower than anticipated growth in the brand. During 2012, we recorded an $8 million non-cash asset impairment charge at our destination network business resulting from the decision to rebrand the ResortQuest and Steamboat Resorts trade names to the Wyndham Vacation Rentals brand. In addition, we recorded restructuring costs of $7 million related to organizational realignment initiatives commenced during 2012 at our destination network and vacation ownership businesses. Hotel Group—primarily franchises hotels in the upscale, upper midscale, midscale, economy and extended stay segments and provides hotel management services for full-service and select limited-service hotels. Destination Network—provides vacation exchange services and products to owners of intervals of vacation ownership interests (“VOIs”), manages, and markets vacation rental properties primarily on behalf of independent owners. Vacation Ownership—develops, markets and sells VOIs to individual consumers, provides consumer financing in connection with the sale of VOIs and provides property management services at resorts. Before our separation from Cendant (“Separation”), we entered into separation, transition services and several other agreements with Cendant, Realogy and Travelport to effect the separation and distribution, govern the relationships among the parties after the separation and allocate among the parties Cendant’s assets, liabilities and obligations attributable to periods prior to the separation. Under the Separation and Distribution Agreement, we assumed 37.5% of certain contingent and other corporate liabilities of Cendant or its subsidiaries which were not primarily related to our business or the businesses of Realogy, Travelport or Avis Budget Group, and Realogy assumed 62.5% of these contingent and other corporate liabilities. These include liabilities relating to Cendant’s terminated or divested businesses, the Travelport sale on August 22, 2006, taxes of Travelport for taxable periods through the date of the Travelport sale, certain litigation matters, generally any actions relating to the separation plan and payments under certain contracts that were not allocated to any specific party in connection with the Separation. We enter into agreements to franchise our hotel group brands to independent hotel owners. Our standard franchise agreement typically has a term of 15 to 20 years and provides a franchisee with certain rights to terminate the franchise agreement before the end of the agreement under certain circumstances. The principal source of revenues from franchising hotels is ongoing royalty fees. Royalty fees are typically a percentage of gross room revenues of each franchised hotel. Royalty fees are intended to cover the use of our trademarks and our operating expenses, such as expenses incurred for franchise services, including quality assurance and administrative support, and to provide us with operating profits. These fees are recognized as revenue upon becoming due from the franchisee. An estimate of uncollectible ongoing royalty fees is charged to bad debt expense and included in operating expenses on the Consolidated Statements of Income. Hotel Group revenues also include initial franchise fees, which are recognized as revenues when all material services or conditions have been substantially performed, which is either when a franchised hotel opens for business or when a franchise agreement is terminated after it has been determined that the franchised hotel will not open. Our franchise agreements also require the payment of marketing and reservation fees, which are intended to reimburse us for expenses associated with operating an international, centralized, brand-specific reservations system, e-commerce channels such as our brand.com websites, as well as access to third-party distribution channels, such as online travel agents, advertising and marketing programs, global sales efforts, operations support, training and other related services. These fees are recognized as revenue upon becoming due from the franchisee. An estimate of uncollectible ongoing marketing and reservation fees is charged to bad debt expense and included in marketing and reservation expenses on the Consolidated Statements of Income. Generally, we are contractually obligated to expend the marketing and reservation fees we collect from franchisees in accordance with the franchise agreements; as such, revenues earned in excess of costs incurred are accrued as a liability for future marketing or reservation costs. Costs incurred in excess of revenues earned are expensed as incurred. In accordance with our franchise agreements, we include an allocation of costs required to carry out marketing and reservation activities within marketing and reservation expenses. We also earn revenues from the Wyndham Rewards loyalty program when a member stays at a participating hotel. These revenues are derived from a fee we charge based upon a percentage of room revenues generated from such member stays. These fees are to reimburse us for expenses associated with member redemptions and activities that are related to the overall administering and marketing of the program. These fees are recognized as revenue upon becoming due from the franchisee. Since we are obligated to expend the fees we collect from franchisees, revenues earned in excess of costs incurred are accrued as a liability for future costs to support the program. In addition, we earn revenue from our co-branded Wyndham Rewards credit card program which is primarily generated by cardholder spending and the enrollment of new cardholders. The advance payments we receive under our co-branded credit program are deferred and recognized as earned over the term of the arrangement. Other service fees we derive from providing ancillary services to franchisees are primarily recognized as revenue upon completion of services. The majority of these fees are intended to reimburse us for direct expenses associated with providing these services. We also provide management services for hotels under management contracts, which offer all the benefits of a global brand and a full range of management, marketing and reservation services. In addition to the standard franchise services described above, our hotel management business provides hotel owners with professional oversight and comprehensive operations support services such as hiring, training and supervising the managers and employees that operate the hotels as well as annual budget preparation, financial analysis and extensive food and beverage services. Our standard management agreement typically has a term of up to 25 years. Our management fees are comprised of base fees, which are typically a specified percentage of gross revenues from hotel operations, and incentive fees, which are typically a specified percentage of a hotel’s gross operating profit. Management fee revenues are recognized as the services are performed and when the earnings process is complete and recorded as a component of franchise fee revenues on the Consolidated Statements of Income. We incur certain reimbursable costs on behalf of managed hotel properties and report reimbursements received from managed hotels as revenues and the costs incurred on their behalf as expenses. Such reimbursable revenues are recorded as a component of service and membership fees on the Consolidated Statements of Income. The reimbursable costs, which principally relate to payroll costs for operational employees at the managed hotels, are reflected as a component of operating expenses on the Consolidated Statements of Income. The reimbursements from hotel owners are based upon the costs incurred with no added margin. As a result, these reimbursable costs have no effect on our operating income. Management fee revenues and reimbursable revenues were $22 million and $271 million, respectively, during 2016, $23 million and $273 million, respectively, during 2015 and $11 million and $148 million, respectively, during 2014. We currently own two hotels in locations where we have developed timeshare units. Revenues earned from our owned hotels are comprised of (i) gross room night rentals, (ii) food and beverage services and (iii) on-site spa, casino, golf and shop revenues. We are responsible for all the operations of the hotels and recognize all revenues and expenses of these hotels. Within our Hotel Group segment, we measure operating performance using the following key operating statistics: (i) number of rooms, which represents the number of rooms at hotel group properties at the end of the year and (ii) revenue per available room (RevPAR), which is calculated by multiplying the percentage of available rooms occupied during the year by the average rate charged for renting a hotel room for one day. As a provider of vacation exchange services, we enter into affiliation agreements with developers of vacation ownership properties to allow owners of intervals of VOIs to trade their intervals for intervals at other properties affiliated with our RCI brand and, for some members, for other leisure-related services and products. Additionally, as a marketer of vacation rental properties, generally we enter into contracts for exclusive periods of time with property owners to market the rental of such properties to rental customers. Our RCI brand derives a majority of its revenues from annual membership dues and exchange fees from RCI members trading their intervals. Revenues from annual membership dues represent the annual fees from RCI members who, for additional fees, have the right to exchange their intervals for intervals at other properties affiliated with our exchange network and, for certain members, for other leisure-related services and products. We recognize revenues from annual membership dues on a straight-line basis over the membership period during which delivery of publications, if applicable, and other services are provided to the members. Exchange fees are generated when members exchange their intervals for intervals at other properties affiliated with our exchange network or for other leisure-related services and products. We also offer other exchange related products that provide RCI members the ability to (i) purchase trading power or points protection, (ii) extend the life of deposits and (iii) combine two or more deposits for the opportunity to exchange into intervals with higher trading power. Exchange fees and other exchange related product fees are recognized as revenues, net of expected cancellations, when these transactions have been confirmed to the member. Our vacation rental brands primarily derive their revenues from fees, which generally average between 20% and 45% of the gross booking fees. For properties which we own, manage or operate under long-term capital and operating leases (which represent less than 10% of our portfolio), we receive 100% of the revenues. The majority of the time, we act on behalf of the owners of the rental properties to generate our fees. We provide reservation services to the independent property owners and receive the agreed-upon fee for the services provided. We remit the gross rental fee received from the renter to the independent property owner, net of our agreed-upon fee. Revenues from such fees that are recognized in the period that the rental reservation is made are recorded, net of expected cancellations. Cancellations for 2016, 2015 and 2014 each totaled less than 4% of rental transactions booked. Upon confirmation of the rental reservation, the rental customer and property owner generally have a direct relationship for additional services to be performed. We also earn rental fees in connection with properties which we own, manage or operate and such fees are recognized ratably over the rental customer’s stay, as this is the point at which the service is rendered. Our revenues are earned when evidence of an arrangement exists, delivery has occurred or the services have been rendered, the seller’s price to the buyer is fixed or determinable, and collectability is reasonably assured. Within our Destination Network segment, we measure operating performance using the following key operating statistics: (i) average number of vacation exchange members, which represents members in our vacation exchange programs who pay annual membership dues and are entitled, for additional fees, to exchange their intervals for intervals at other properties affiliated with our exchange network and, for certain members, for other leisure-related services and products, (ii) exchange revenue per member, which represents total revenue from fees associated with memberships, exchange transactions, member-related rentals and other services for the year divided by the average number of vacation exchange members during the year, (iii) vacation rental transactions, which represents the number of standard one-week rental transactions that are generated in connection with customers booking their vacation rental stays through us and (iv) average net price per vacation rental, which represents the net rental price generated from renting vacation properties to customers and other related rental servicing fees divided by the number of vacation rental transactions. Our vacation ownership business develops, markets and sells VOIs to individual consumers, provides property management services at resorts and provides consumer financing in connection with the sale of VOIs. It derives the majority of its revenues from sales of VOIs and other revenues from consumer financing and property management. Our sales of VOIs are either cash sales or developer-financed sales. In order for us to recognize revenues from VOI sales under the full accrual method of accounting, as prescribed in the guidance for sales of real estate for fully constructed inventory, a binding sales contract must have been executed, the statutory rescission period must have expired (after which time the purchasers are not entitled to a refund except for non-delivery by us), receivables must have been deemed collectible and the remainder of our obligations must have been substantially completed. In addition, before we recognize any revenues from VOI sales, the purchaser of the VOI must have met the initial investment criteria and, as applicable, the continuing investment criteria, by executing a legally binding financing contract. A purchaser has met the initial investment criteria when a minimum down payment of 10% is received by us. In accordance with the guidance for accounting for real estate time-sharing transactions, we must also take into consideration the fair value of certain incentives provided to the purchaser when assessing the adequacy of the purchaser’s initial investment. In those cases where financing is provided to the purchaser by us, the purchaser is obligated to remit monthly payments under financing contracts that represent the purchaser’s continuing investment. We offer consumer financing as an option to customers purchasing VOIs, which are typically collateralized by the underlying VOI. The contractual terms of Company-provided financing agreements require that the contractual level of annual principal payments be sufficient to amortize the loan over a customary period for the VOI being financed, which is generally 10 years, and payments under the financing contracts begin within 45 days of the sale and receipt of the minimum down payment of 10%. An estimate of uncollectible amounts is recorded at the time of the sale with a charge to the provision for loan losses, which is classified as a reduction of VOI sales on the Consolidated Statements of Income. The interest income earned from the financing arrangements is earned on the principal balance outstanding over the life of the arrangement and is recorded within consumer financing on the Consolidated Statements of Income. We also provide day-to-day-management services, including oversight of housekeeping services, maintenance and certain accounting and administrative services for property owners’ associations and clubs. In some cases, our employees serve as officers and/or directors of these associations and clubs in accordance with their by-laws and associated regulations. We receive fees for such property management services which are generally based upon total costs to operate such resorts. Fees for property management services typically approximate 10% of budgeted operating expenses. Property management fee revenues are recognized when the services are performed and are recorded as a component of service and membership fees on the Consolidated Statements of Income. Property management revenues, which are comprised of management fee revenue and reimbursable revenue, were $660 million, $615 million and $581 million during 2016, 2015 and 2014, respectively. Management fee revenues were $287 million, $275 million and $288 million during 2016, 2015 and 2014, respectively. Reimbursable revenues, which are based upon certain reimbursable costs with no added margin, were $373 million, $340 million and $293 million during 2016, 2015 and 2014, respectively. These reimbursable costs principally relate to the payroll costs for management of the associations, club and resort properties where we are the employer and are reflected as a component of operating expenses on the Consolidated Statements of Income. One of the associations that we manage paid our Destination Network segment $26 million, $24 million and $19 million for exchange services during 2016, 2015 and 2014, respectively. Within our Vacation Ownership segment, we measure operating performance using the following key operating statistics: (i) gross VOI sales (including tele-sales upgrades, which are a component of upgrade sales) before the net effect of POC and loan loss provisions, (ii) tours, which represents the number of tours taken by guests in our efforts to sell VOIs and (iii) volume per guest (“VPG”), which represents revenue per guest and is calculated by dividing the gross VOI sales (excluding tele-sales upgrades, which are a component of upgrade sales) by the number of tours. We record marketing and reservation revenues, Wyndham Rewards revenues, RCI Elite Rewards revenues and hotel/property management services revenues for our Hotel Group, Destination Network and Vacation Ownership segments, in accordance with the guidance for reporting revenues gross as a principal versus net as an agent, which requires that these revenues be recorded on a gross basis. Discussed below are our consolidated results of operations and the results of operations for each of our reportable segments. The reportable segments presented below represent our operating segments for which separate financial information is available and which is utilized on a regular basis by our chief operating decision maker to assess performance and to allocate resources. In identifying our reportable segments, we also consider the nature of services provided by our operating segments. Management evaluates the operating results of each of our reportable segments based upon revenues and “EBITDA”, which is defined as net income before depreciation and amortization, interest expense (excluding consumer financing interest), early extinguishment of debt, interest income (excluding consumer financing revenues) and income taxes, each of which is presented on the Consolidated Statements of Income. We believe that EBITDA is a useful measure of performance for our industry segments and, when considered with GAAP measures, gives a more complete understanding of our operating performance. Our presentation of EBITDA may not be comparable to similarly-titled measures used by other companies. The following table presents our operating statistics for the years ended December 31, 2016 and 2015. See Results of Operations section for a discussion as to how these operating statistics affected our business for the periods presented. Includes the impact from acquisitions from the acquisition dates forward. Therefore, the operating statistics for 2016 are not presented on a comparable basis to the 2015 operating statistics. Represents the number of rooms at hotel group properties at the end of the period which are under franchise and/or management agreements, or are company owned. Represents revenue per available room and is calculated by multiplying the percentage of available rooms occupied during the period by the average rate charged for renting a hotel room for one day. Represents total annualized revenues generated from fees associated with memberships, exchange transactions, member-related rentals and other servicing for the period divided by the average number of vacation exchange members during the period. Represents the number of transactions that are generated in connection with customers booking their vacation rental stays through us. One rental transaction is recorded for each standard one-week rental. Represents the net rental price generated from renting vacation properties to customers and other related rental servicing fees during the period divided by the number of vacation rental transactions during the period. Represents total sales of VOIs, including sales under Wyndham Asset Affiliation Model (“WAAM”) Fee-for-Service, before the net effect of POC accounting and loan loss provisions. We believe that Gross VOI sales provide an enhanced understanding of the performance of our vacation ownership business because it directly measures the sales volume of this business during a given reporting period. Represents total sales of VOIs through our WAAM Fee-for-Service sales model designed to offer turn-key solutions for developers or banks in possession of newly developed inventory, which we will sell for a commission fee through our extensive sales and marketing channels. WAAM Fee-for-Service commission revenues amounted to $46 million and $83 million during 2016 and 2015, respectively. Represents the number of tours taken by guests in our efforts to sell VOIs. VPG is calculated by dividing Gross VOI sales (excluding tele-sales upgrades, which are non-tour upgrade sales) by the number of tours. Tele-sales upgrades were $108 million and $100 million during 2016 and 2015, respectively. We have excluded non-tour upgrade sales in the calculation of VPG because non-tour upgrade sales are generated by a different marketing channel. We believe that VPG provides an enhanced understanding of the performance of our vacation ownership business because it directly measures the efficiency of the business’s tour selling efforts during a given reporting period. $10 million of higher revenues at our hotel group business (excluding intersegment revenues) primarily due to an increase in ancillary services. $6 million of costs associated with the departure of the chief executive officer at our vacation ownership business. a $5 million decrease in expenses resulting from cost containment efforts. Other income, net increased $5 million during 2016 compared with 2015 primarily from settlements of business interruption claims received principally at our vacation ownership business. Interest expense increased $11 million during 2016 compared with 2015 primarily due to higher borrowings. During 2016, we incurred $11 million of expenses resulting from the early repurchase of the remaining portion of our 6.00% senior unsecured notes. Our effective tax rate increased from 33.2% in 2015 to 34.9% in 2016 primarily due to a lower tax benefit in 2016 resulting from changes in our valuation allowance, partially offset by a benefit from an increase in foreign tax credits. As a result of these items, net income attributable to Wyndham shareholders decreased $1 million as compared with 2015.